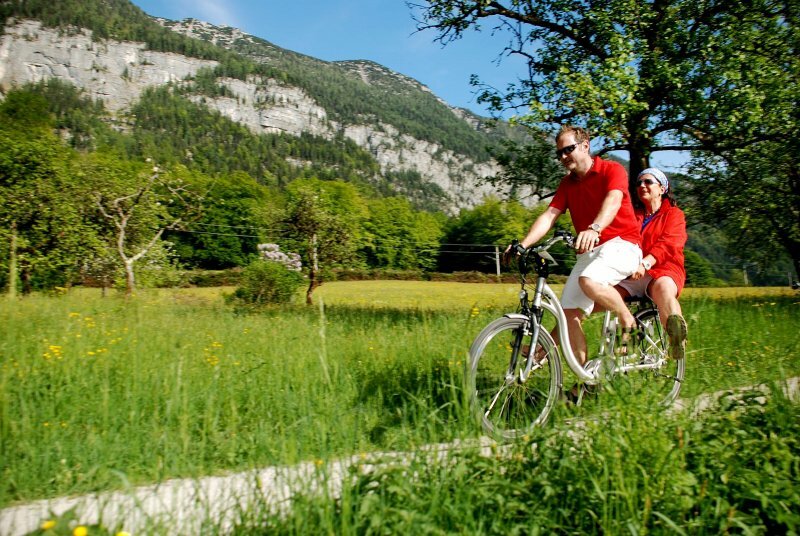 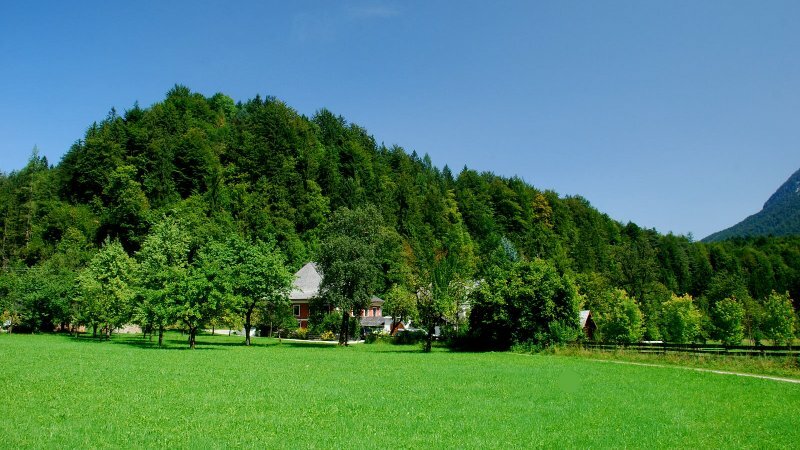 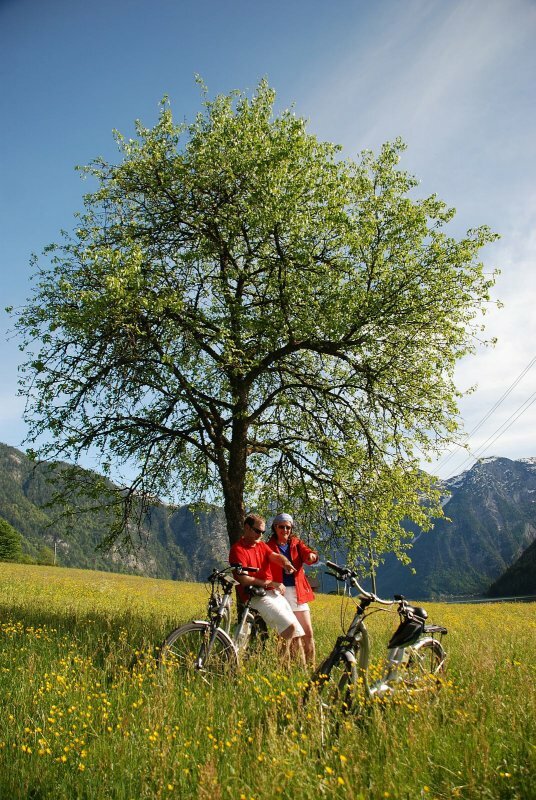 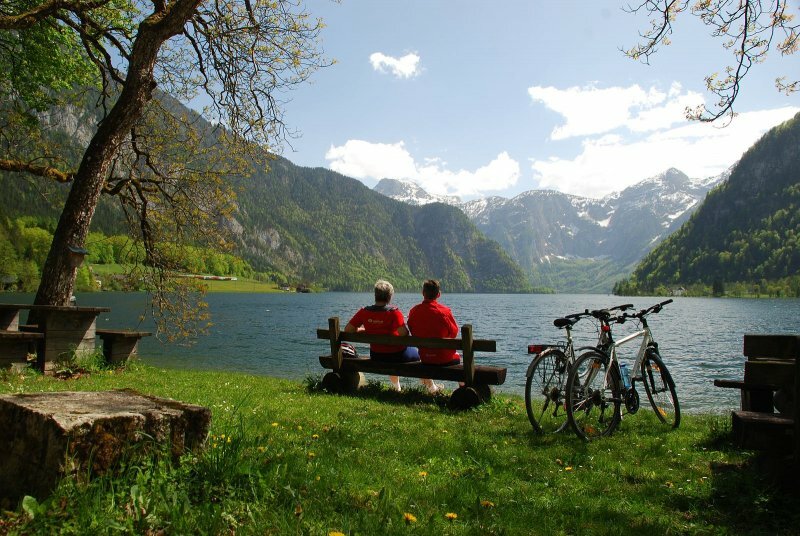 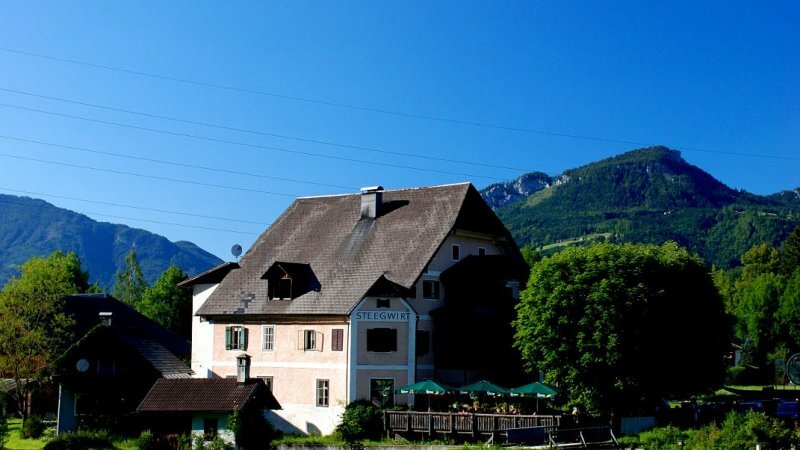 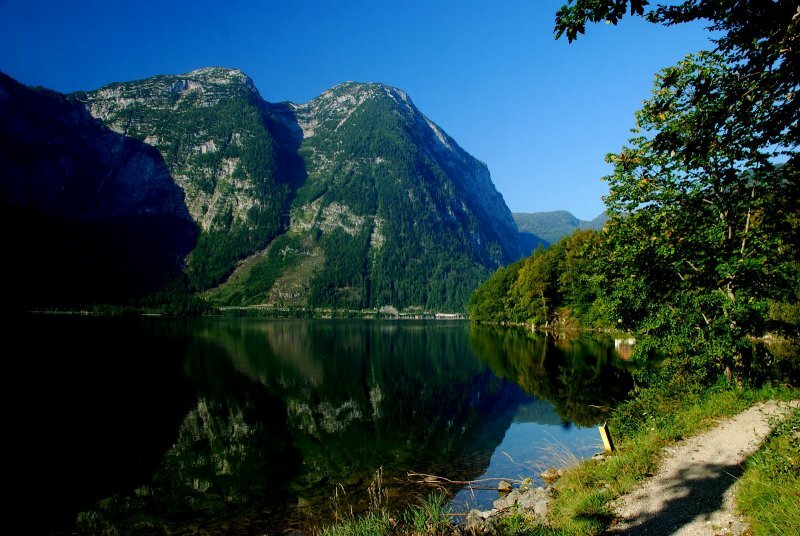 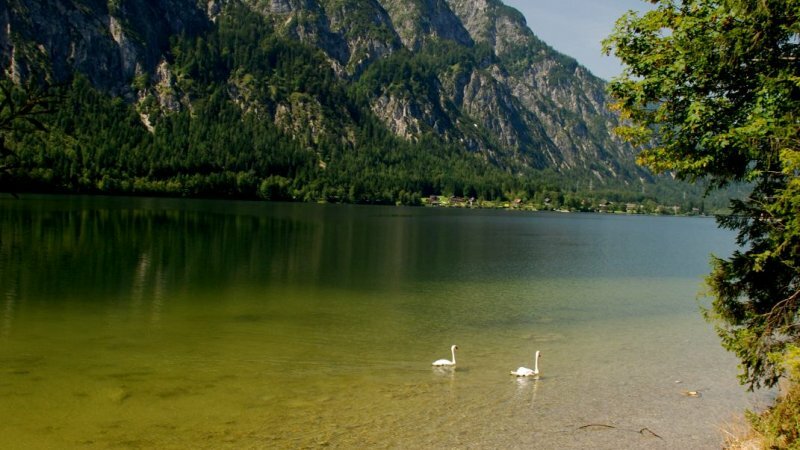 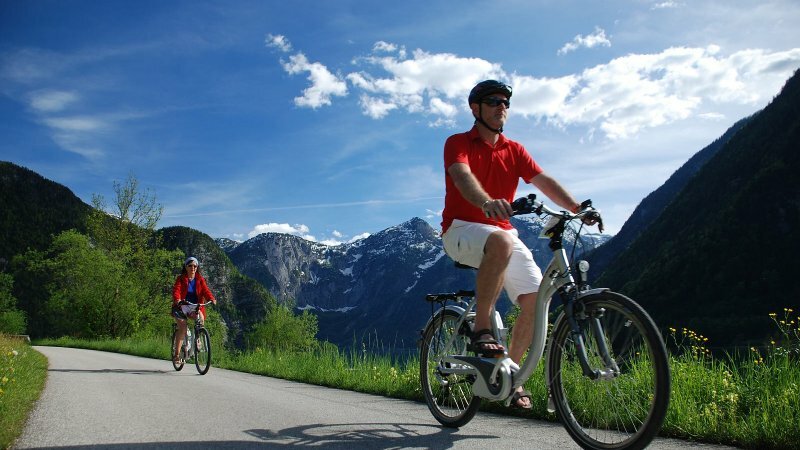 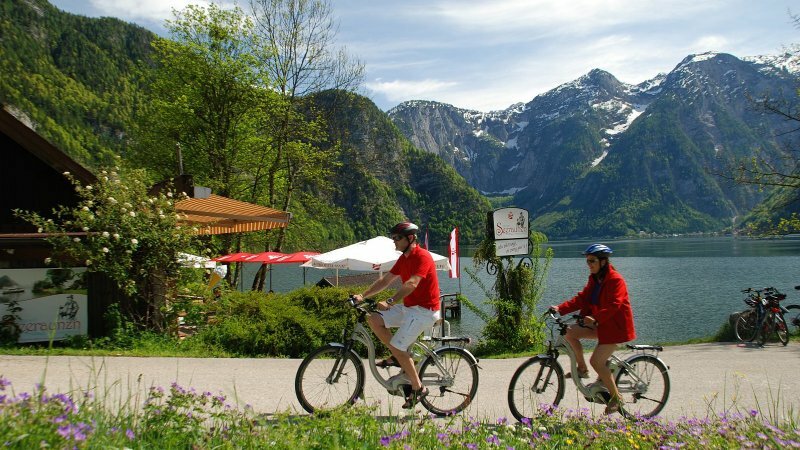 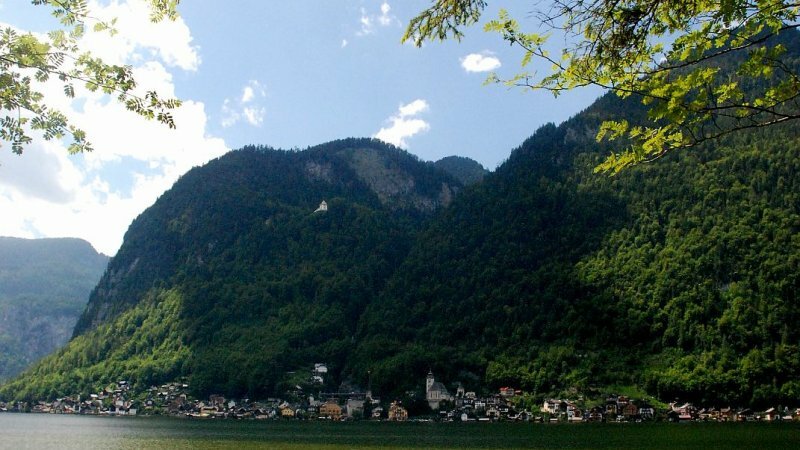 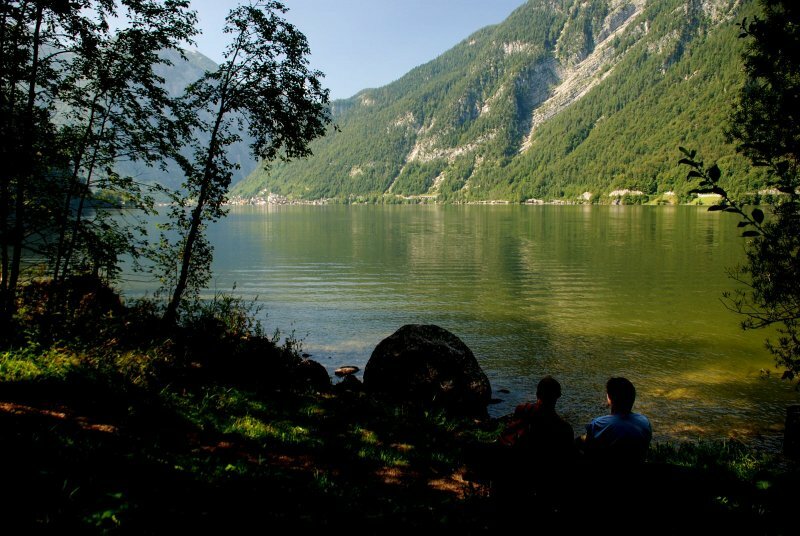 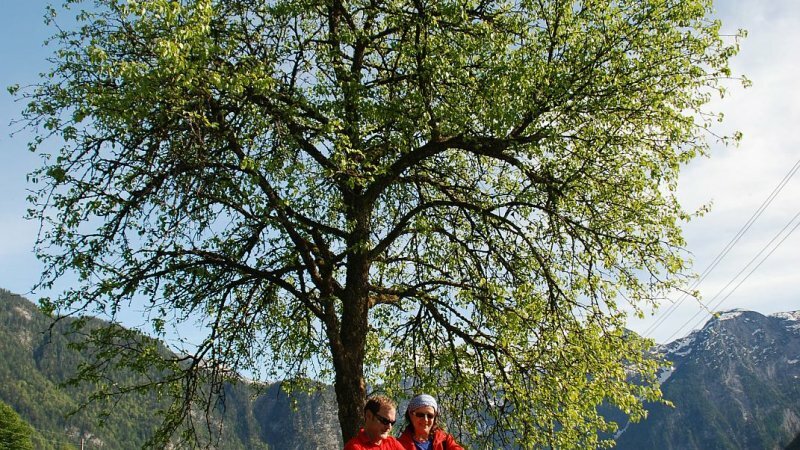 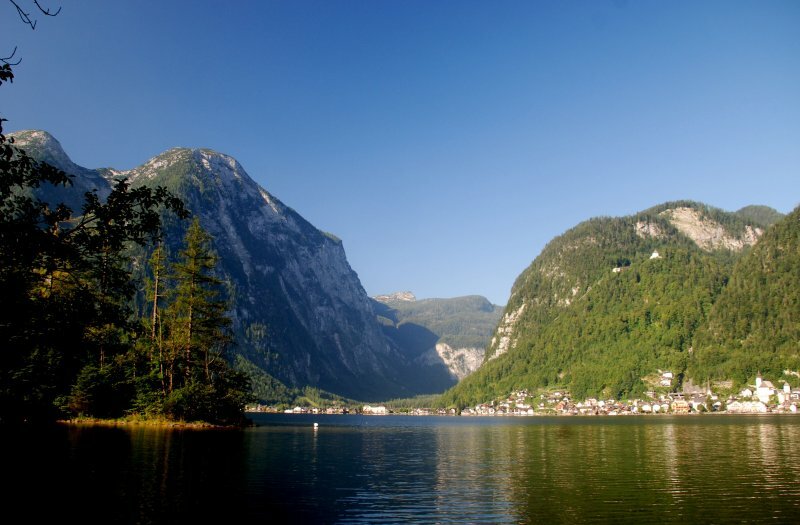 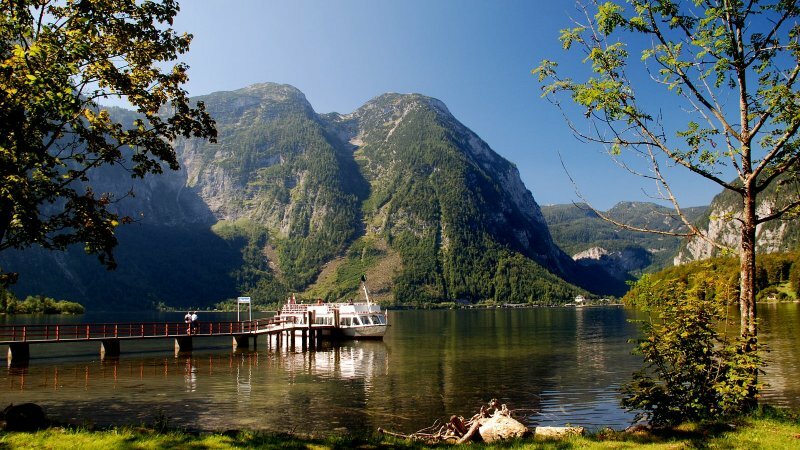 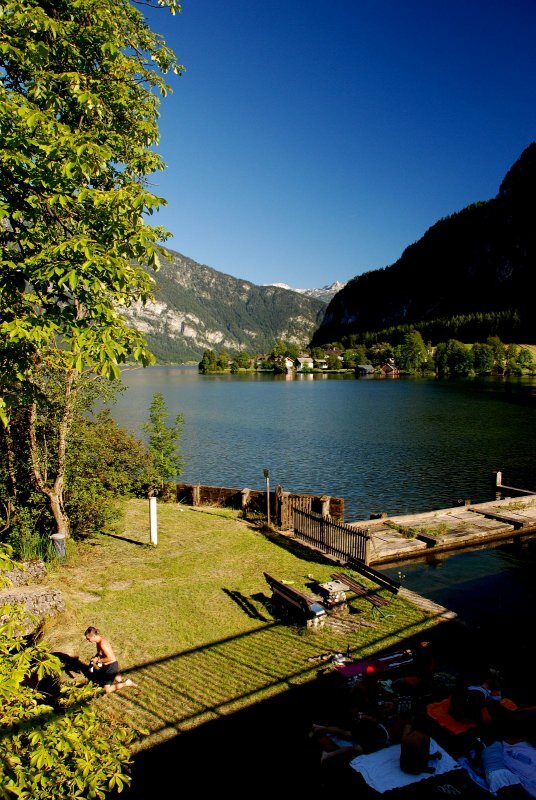 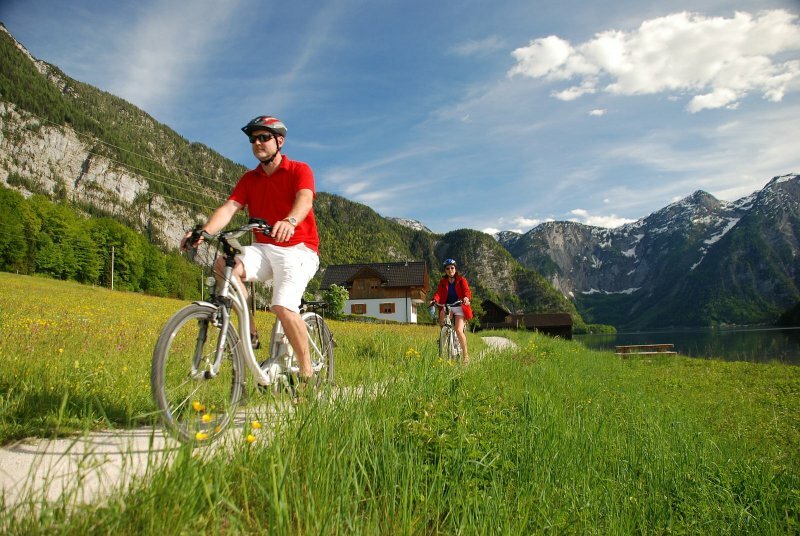 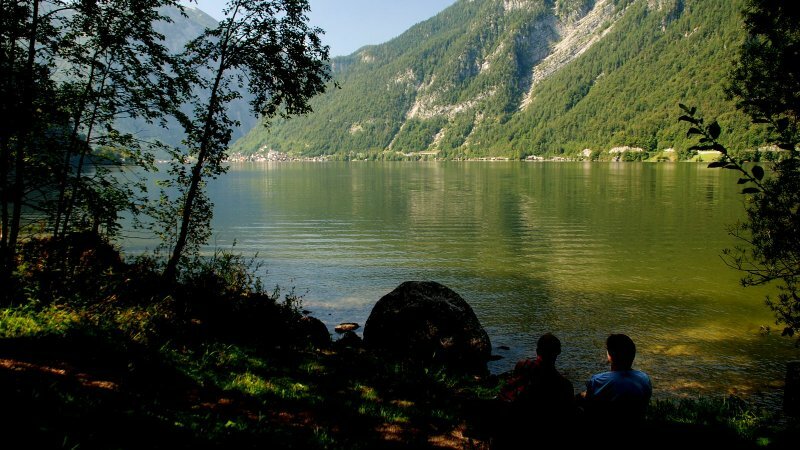 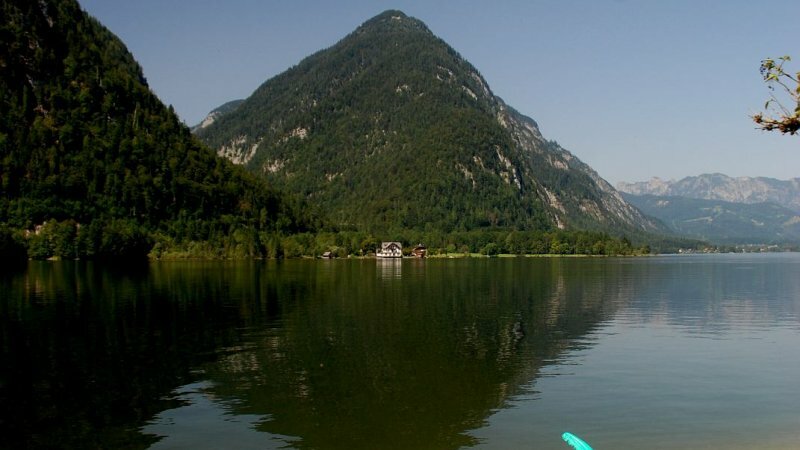 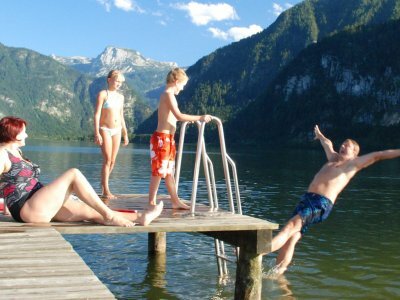 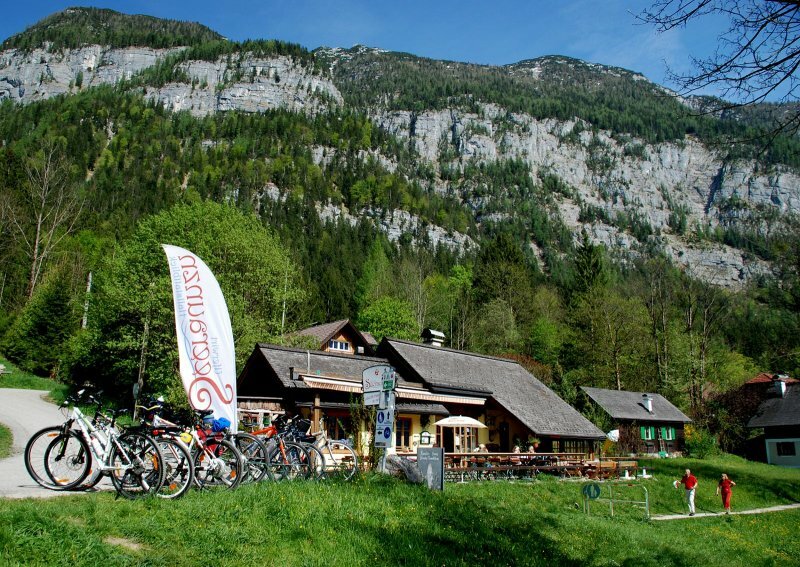 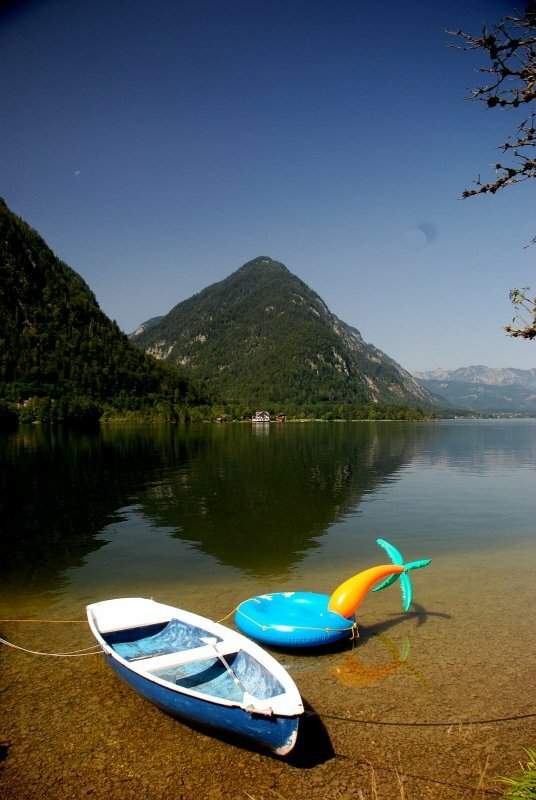 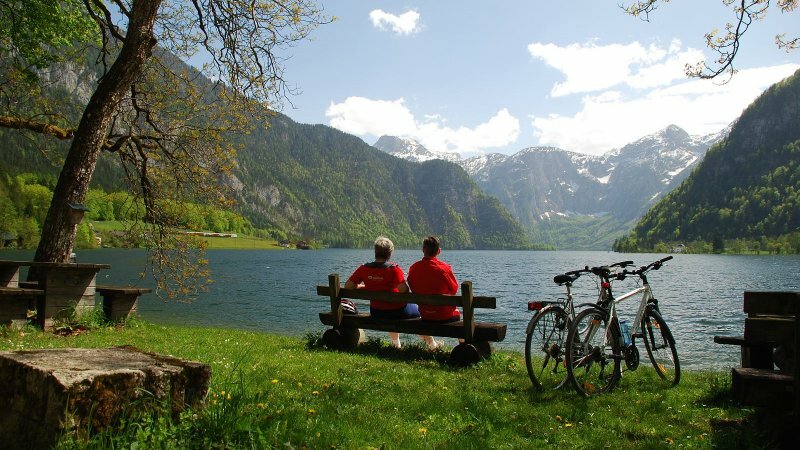 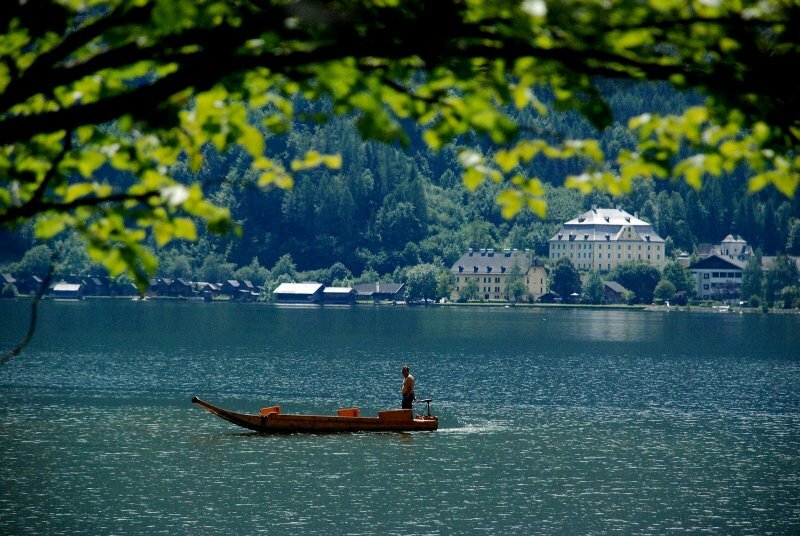 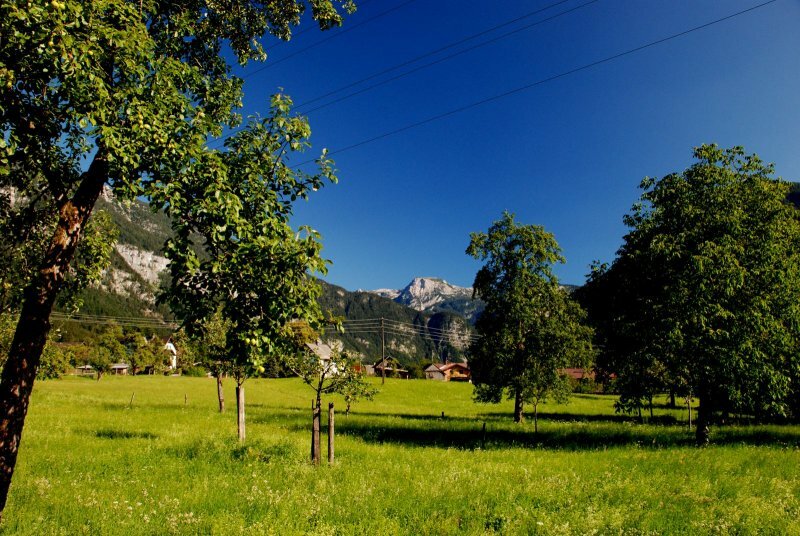 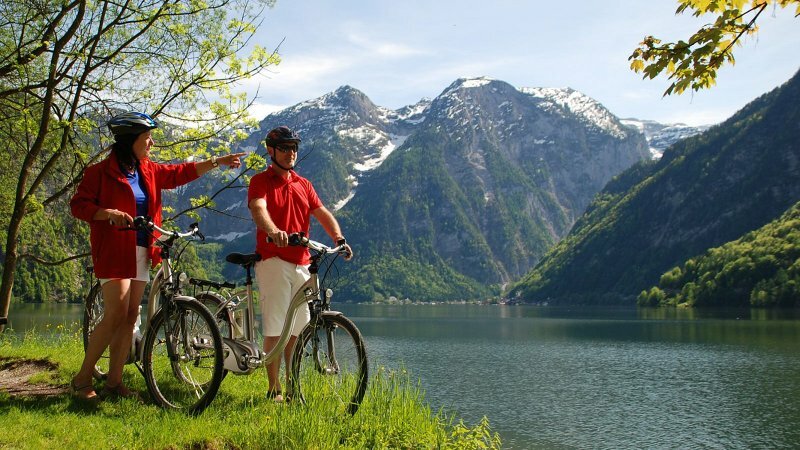 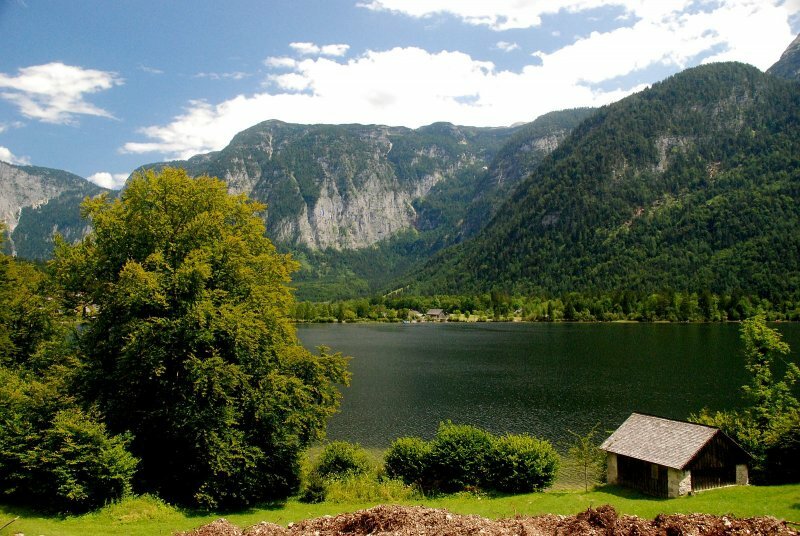 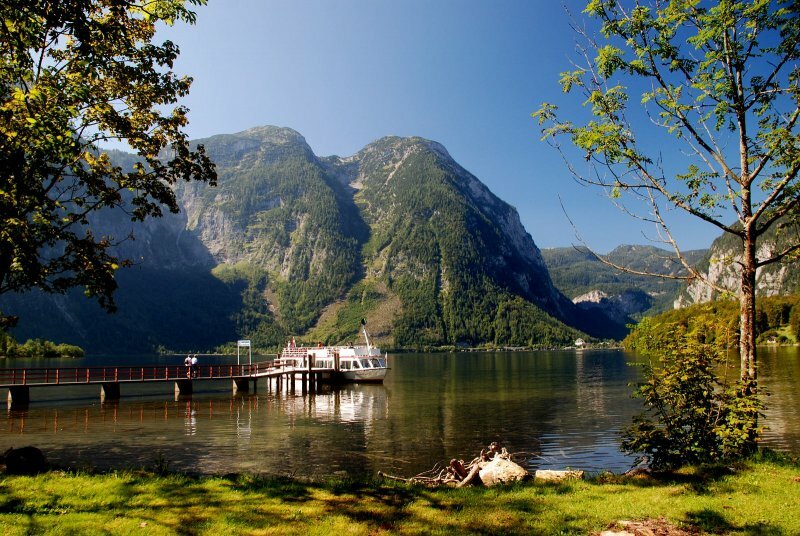 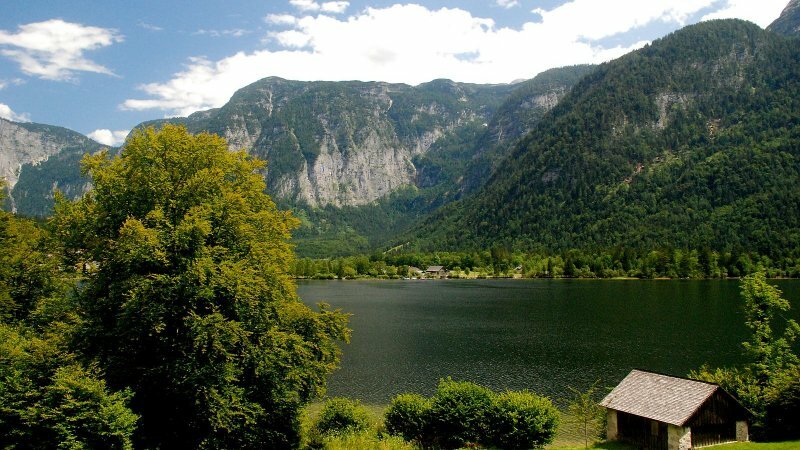 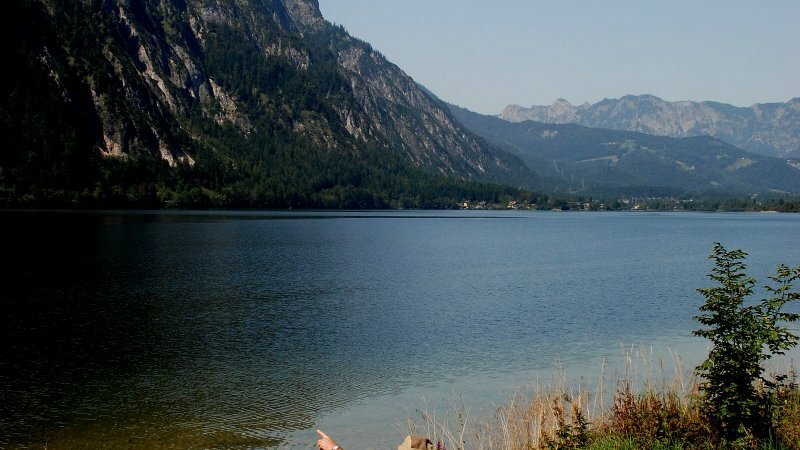 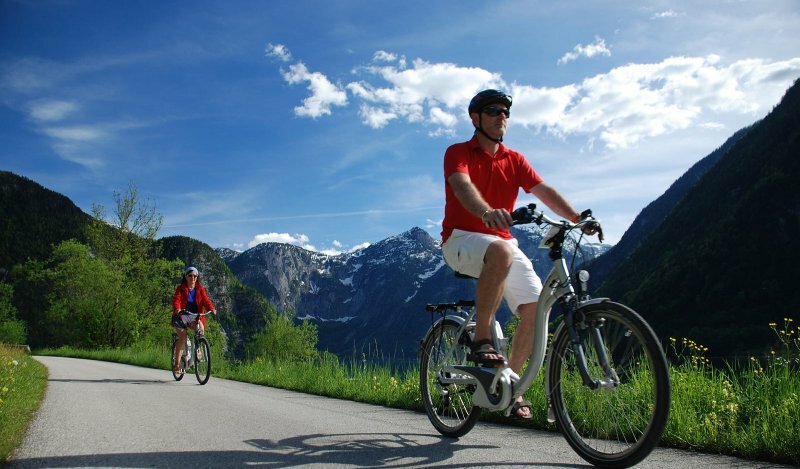 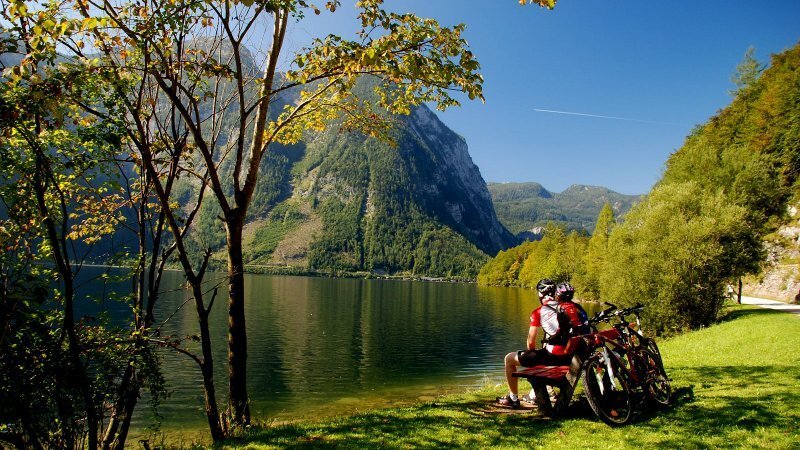 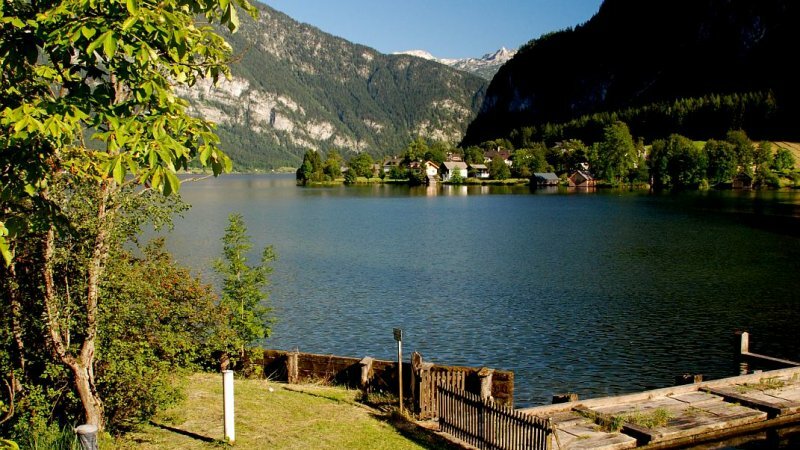 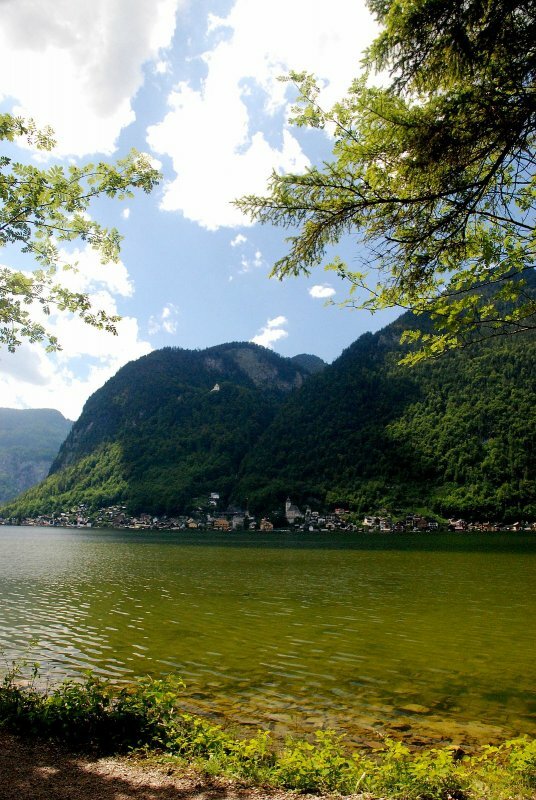 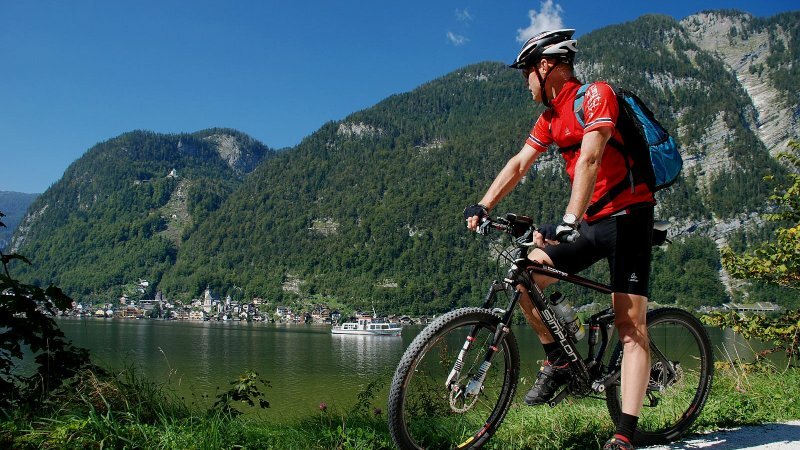 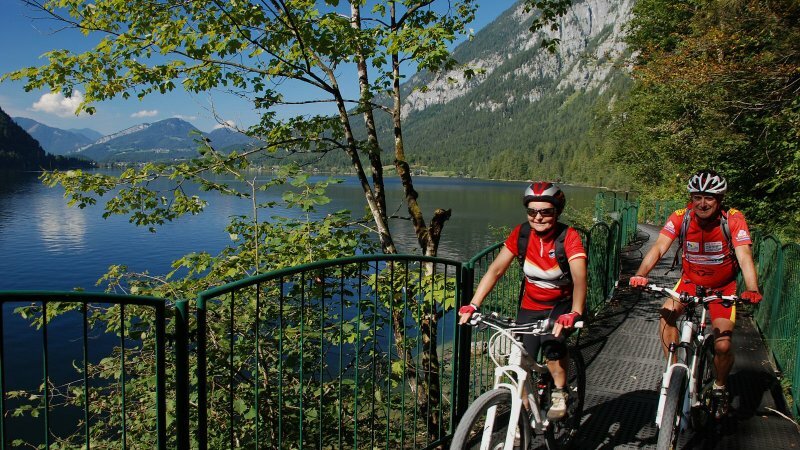 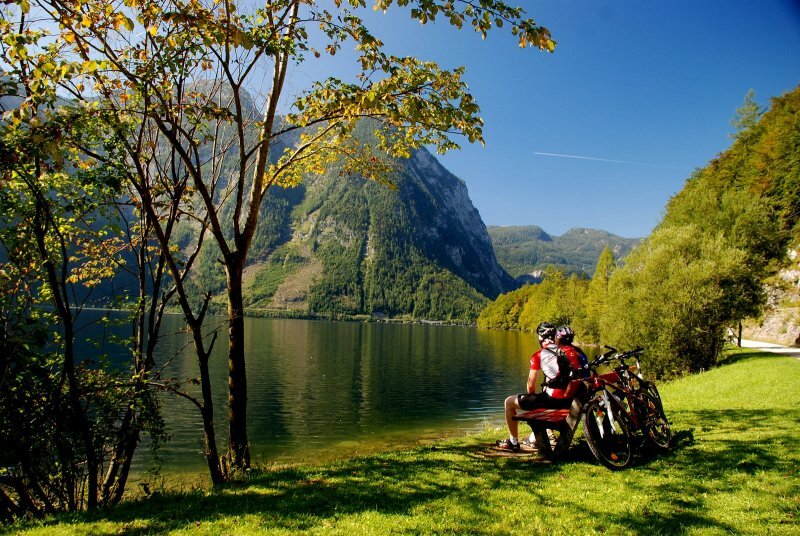 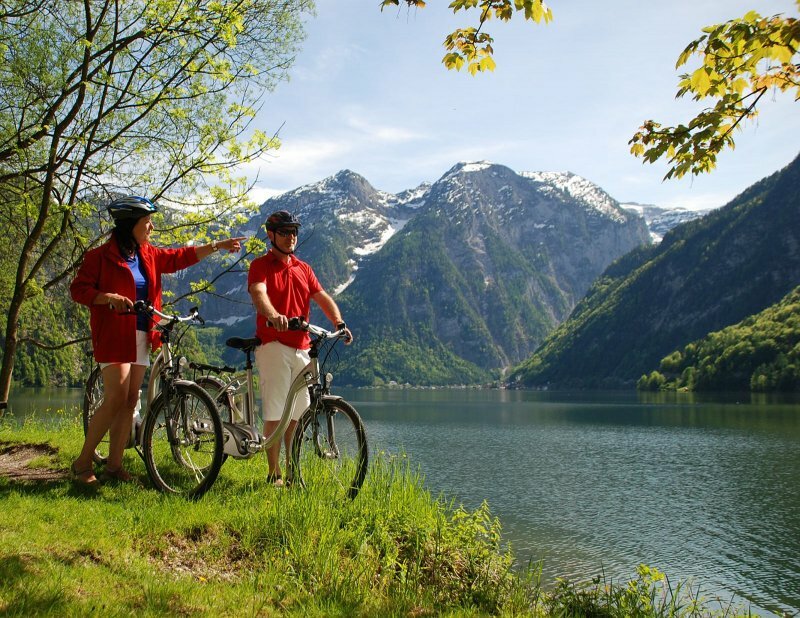 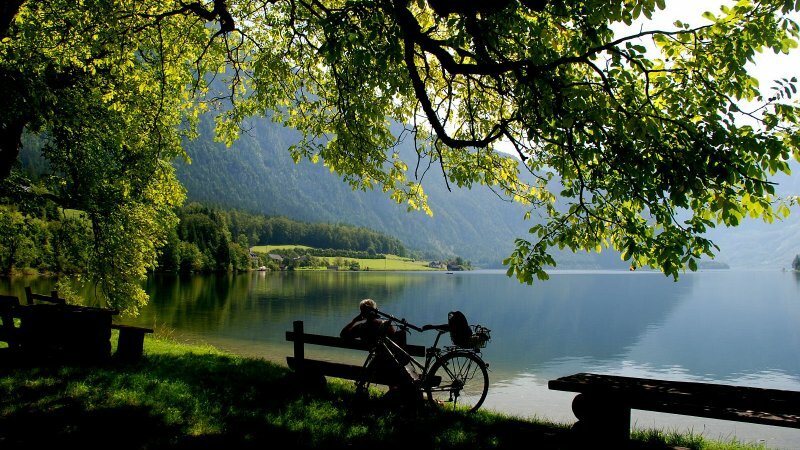 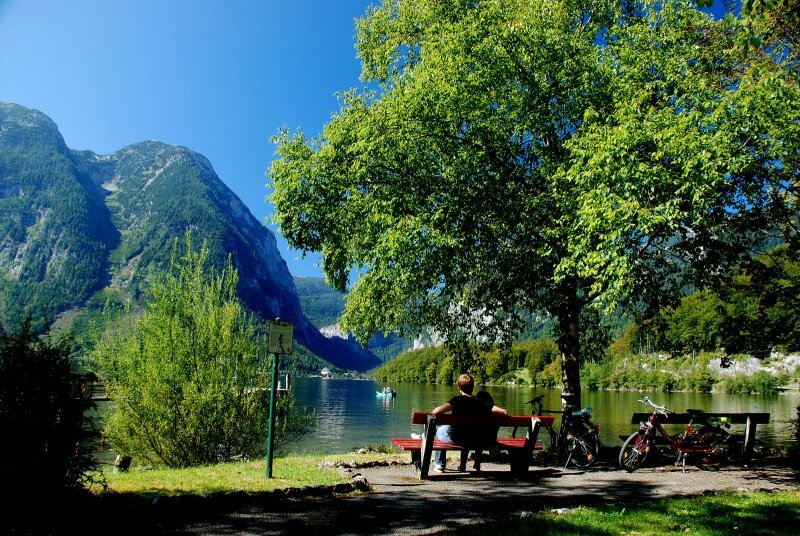 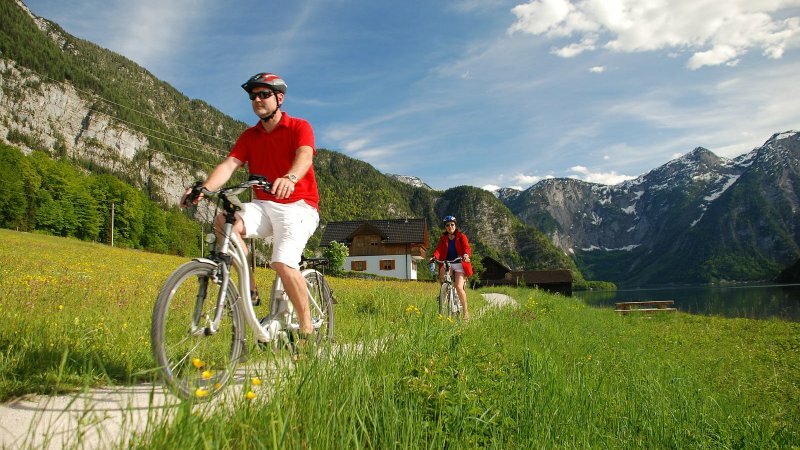 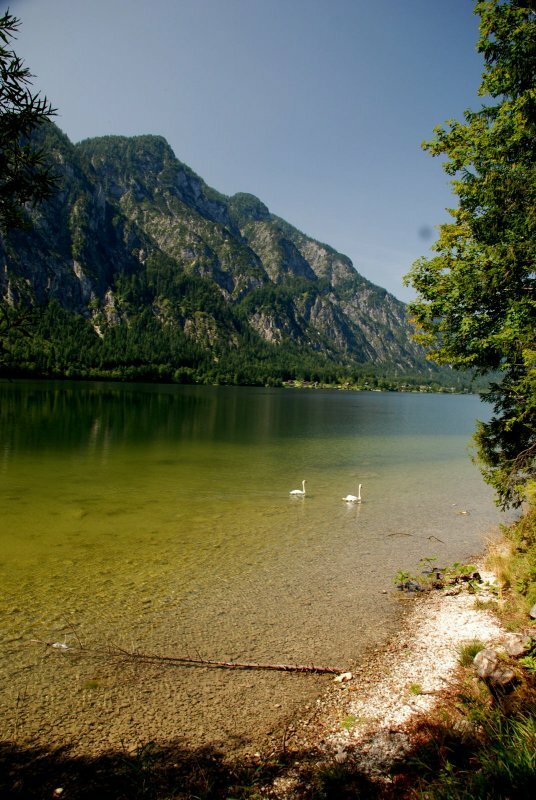 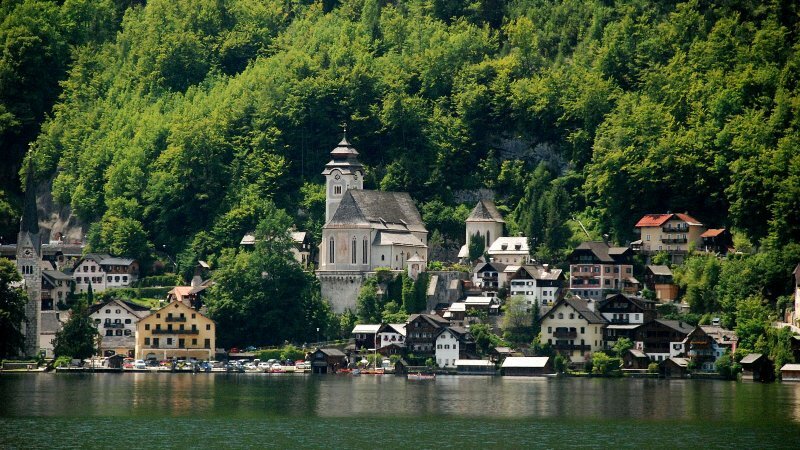 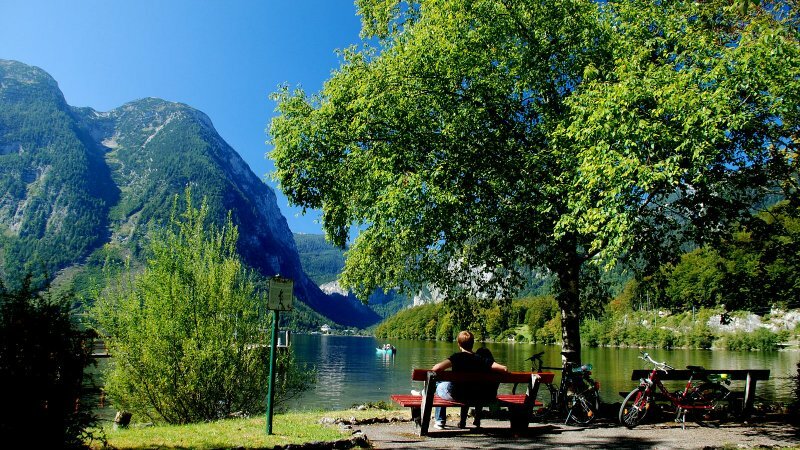 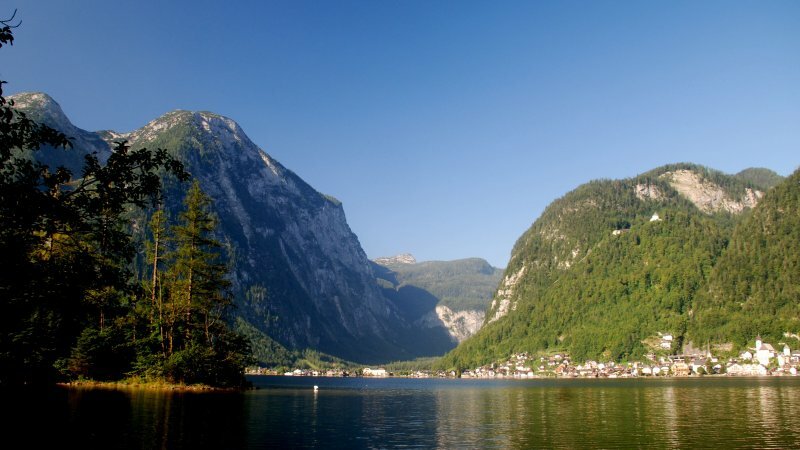 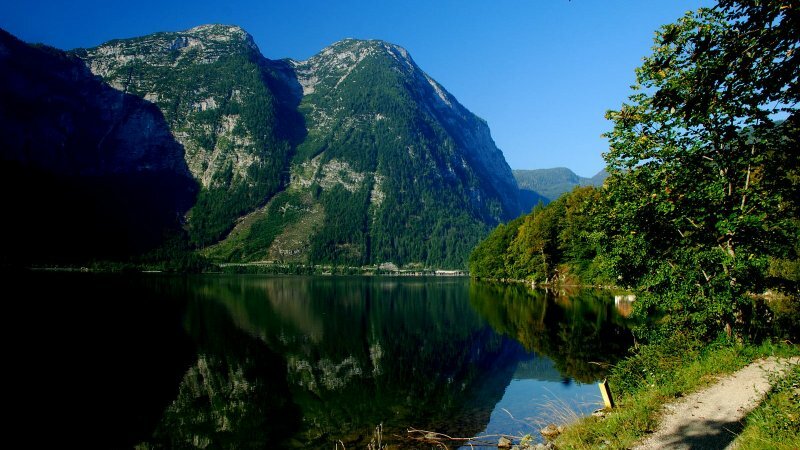 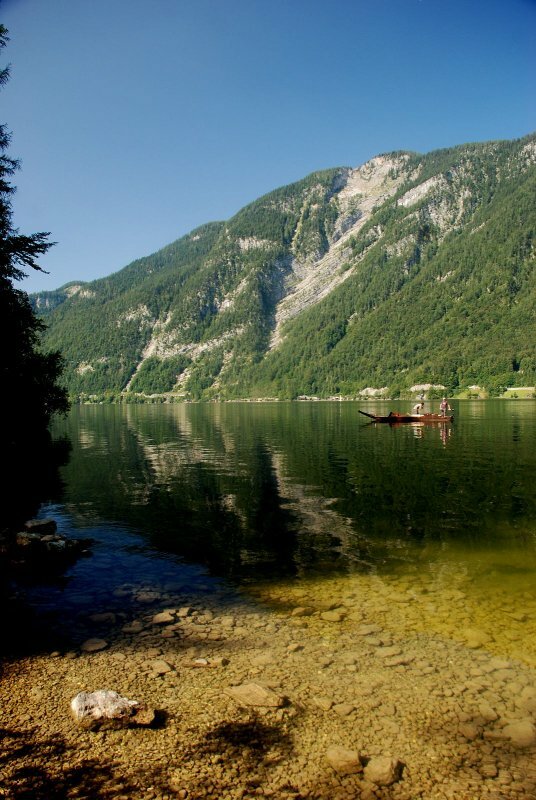 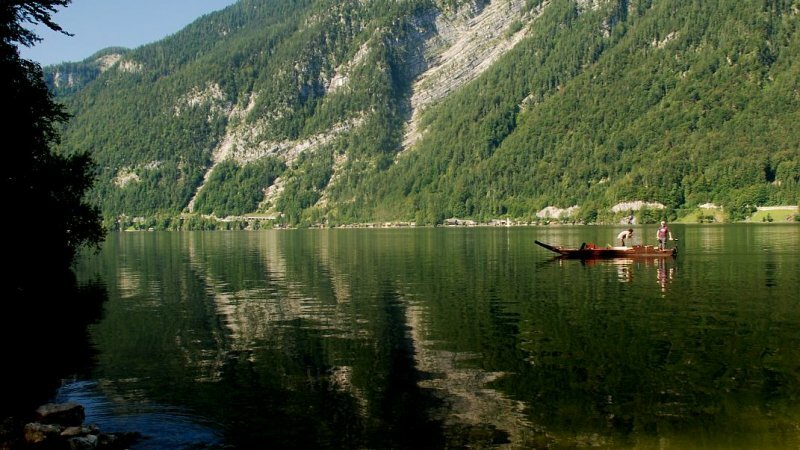 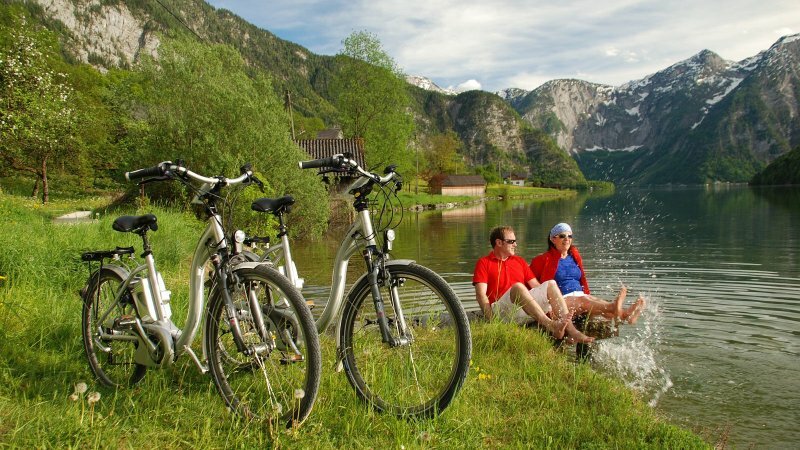 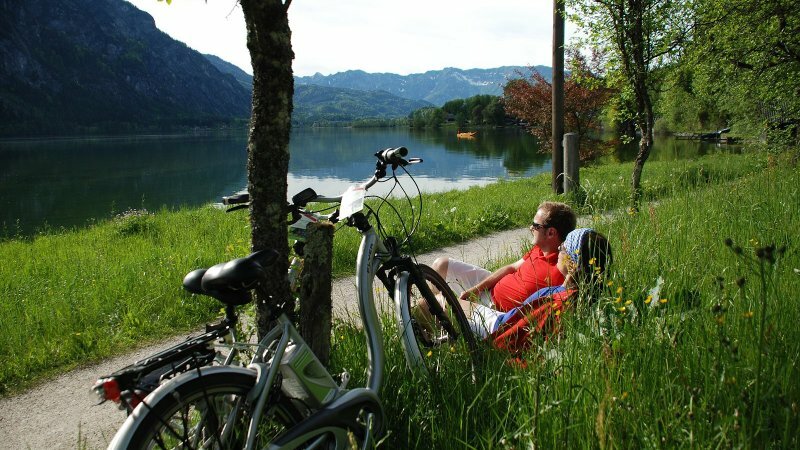 Explore the UNESCO World Heritage region of Hallstatt Dachstein Salzkammergut by bicycle: Eastern Shore Cycling Trail around Lake Hallstatt in Austria. 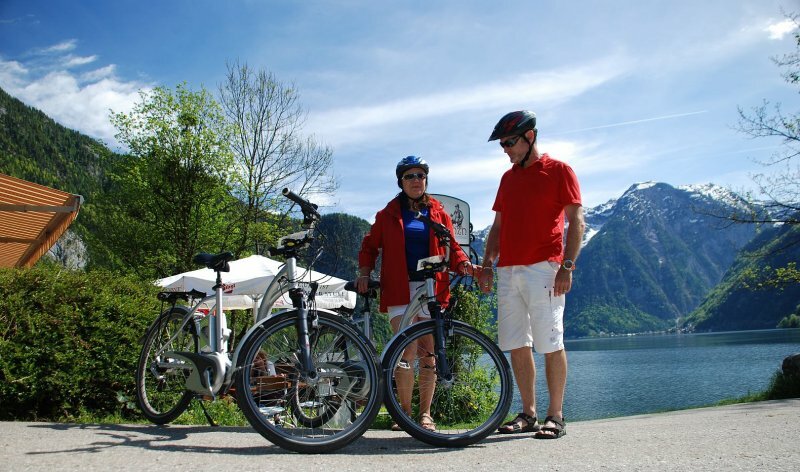 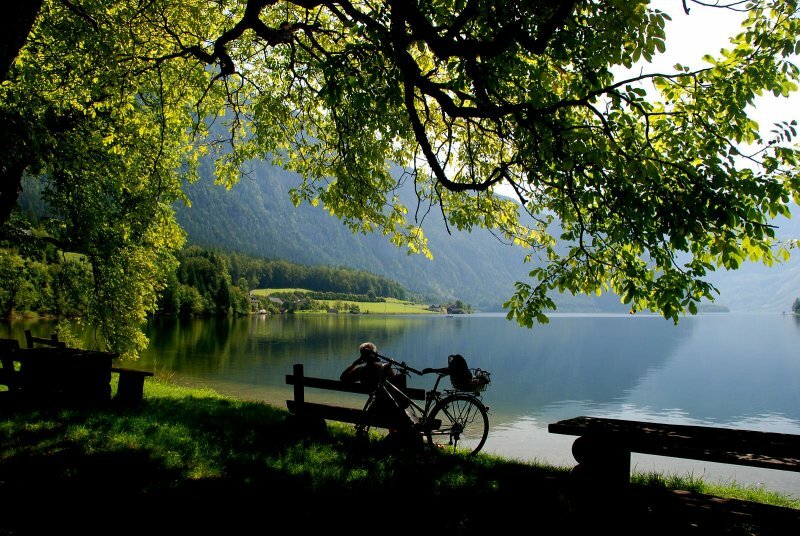 E-Biking around Lake Hallstatt in Austria - © Kraft. 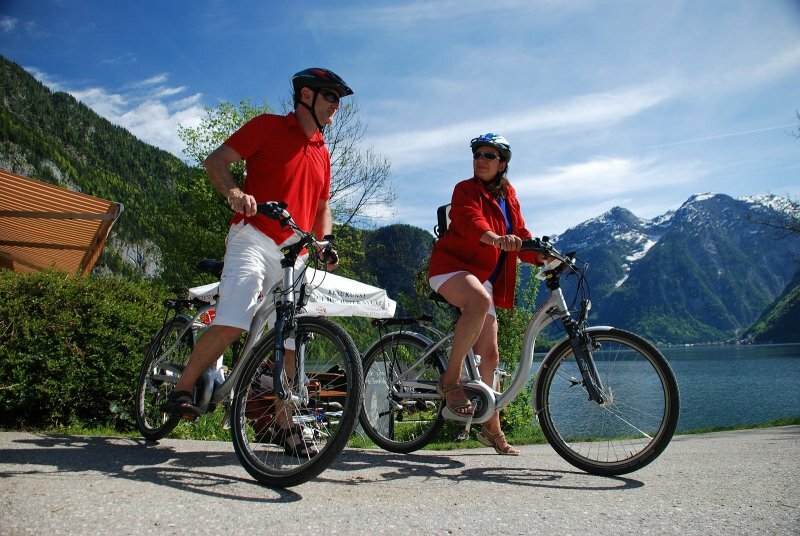 E-Biking around Lake Hallstatt - © Kraft. 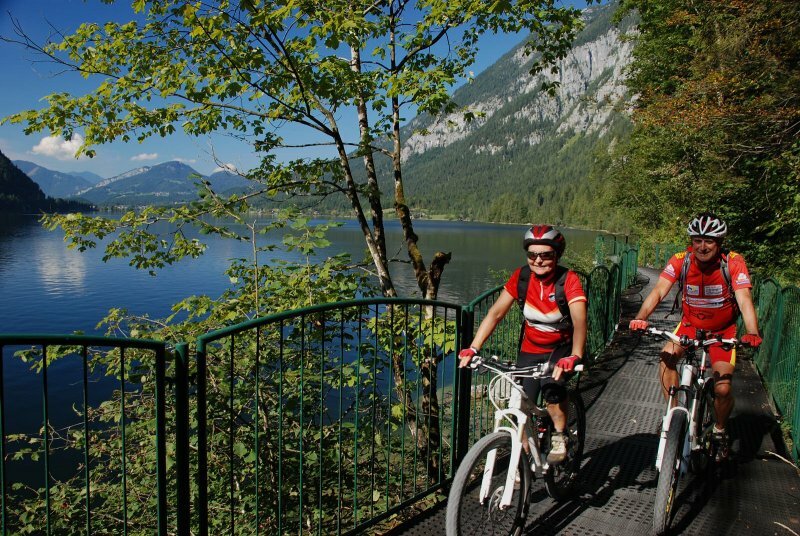 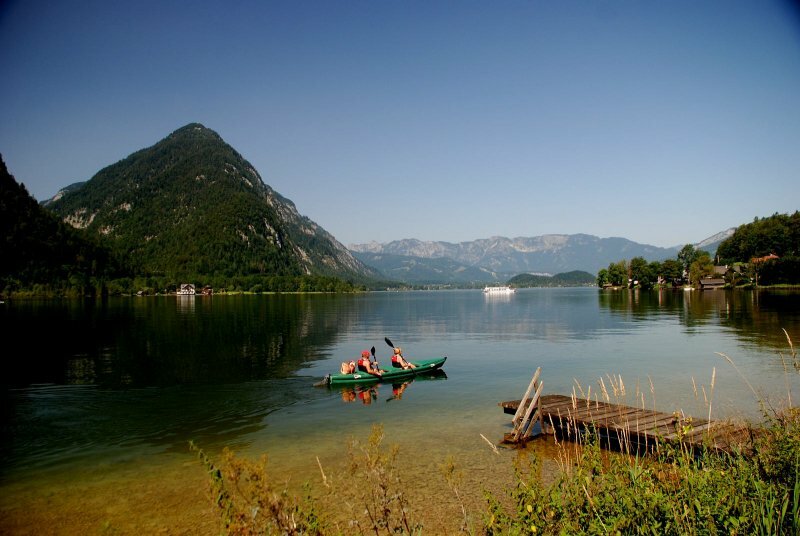 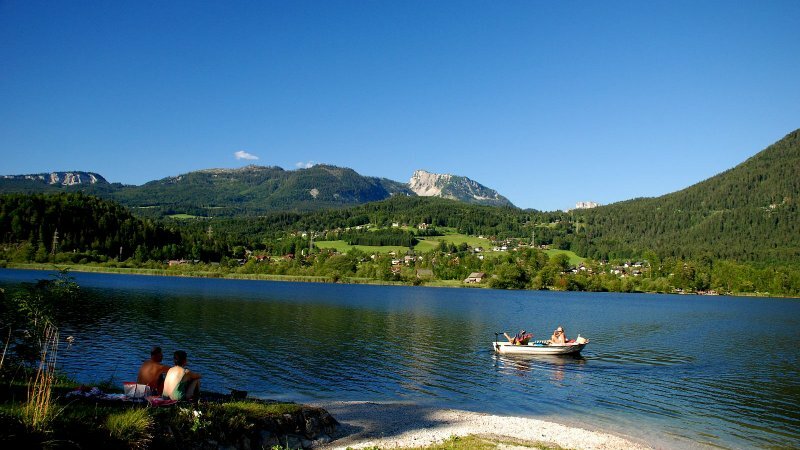 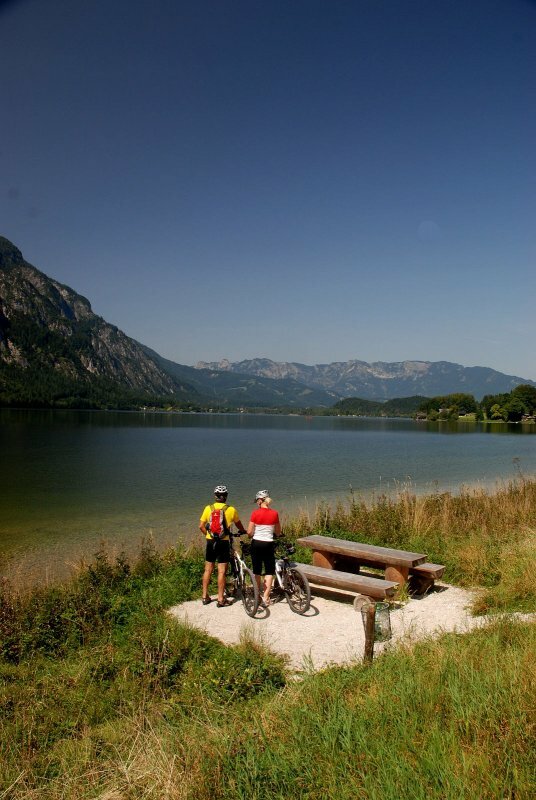 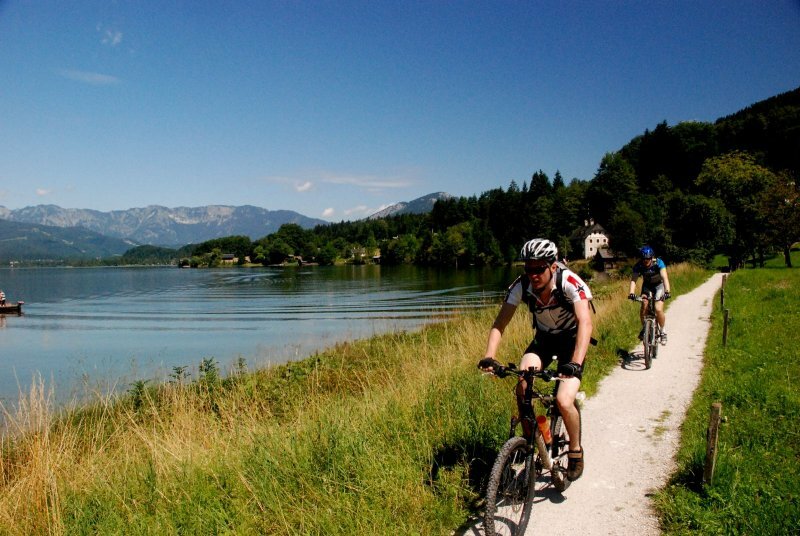 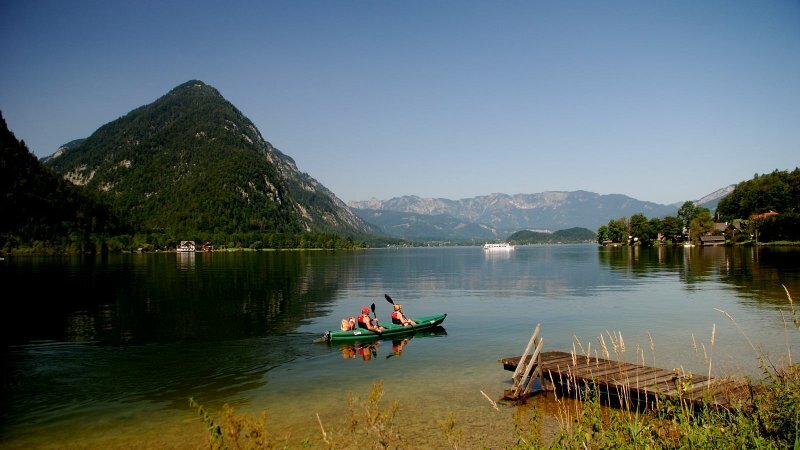 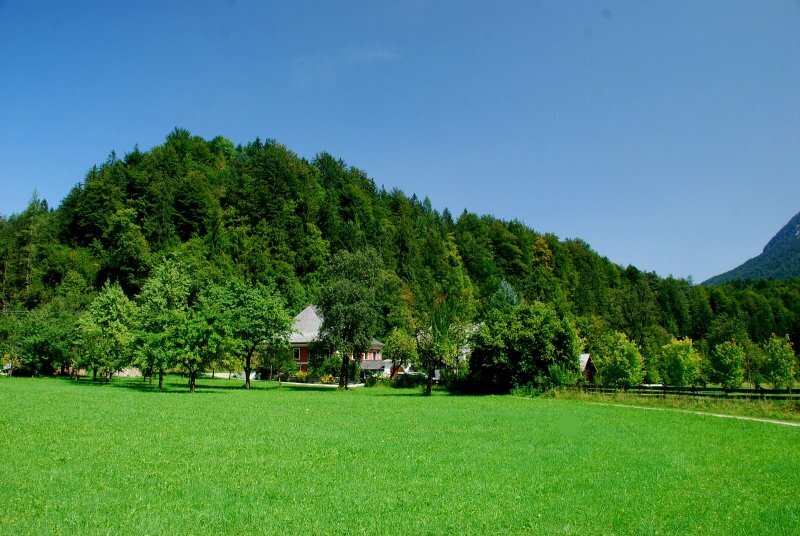 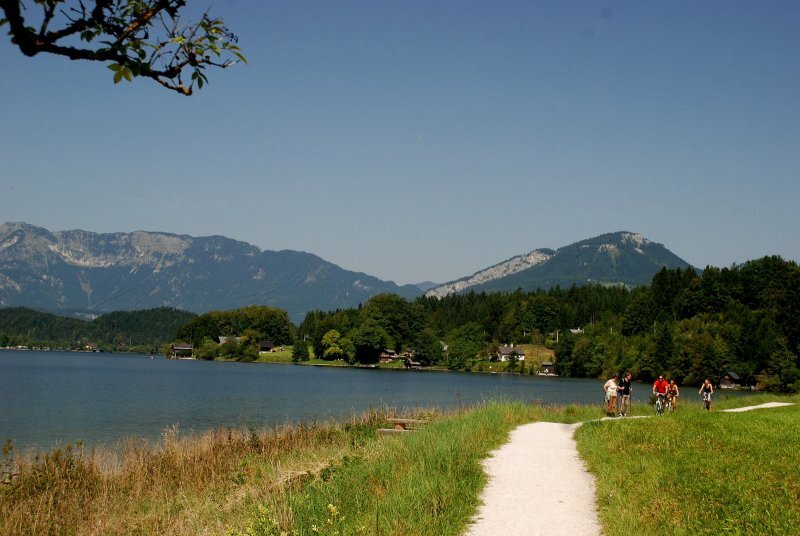 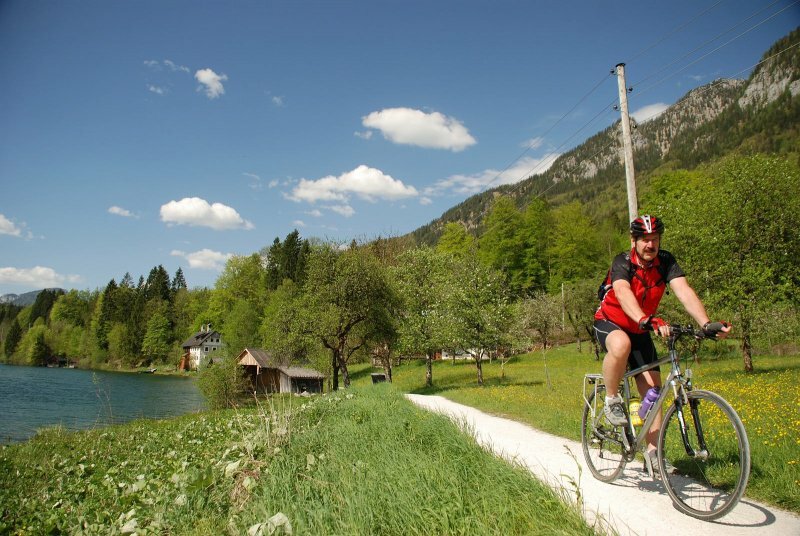 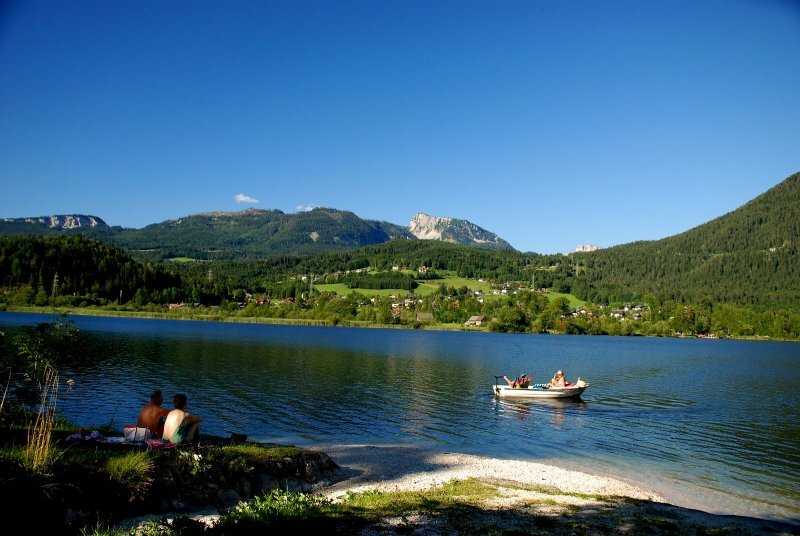 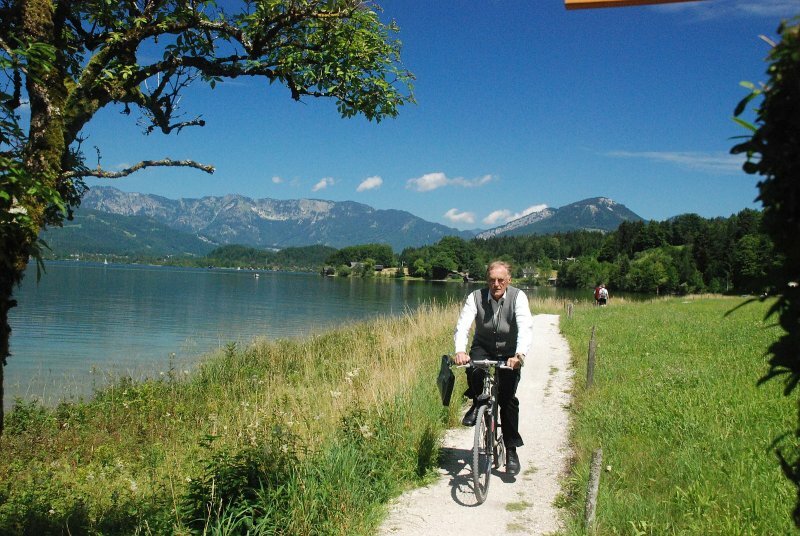 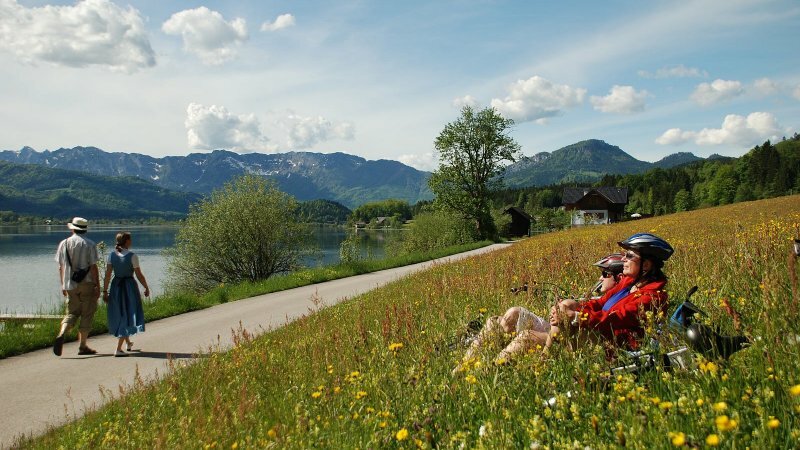 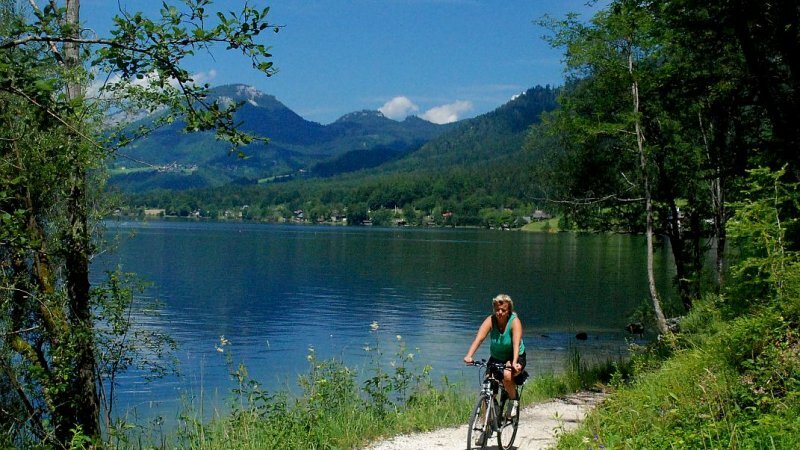 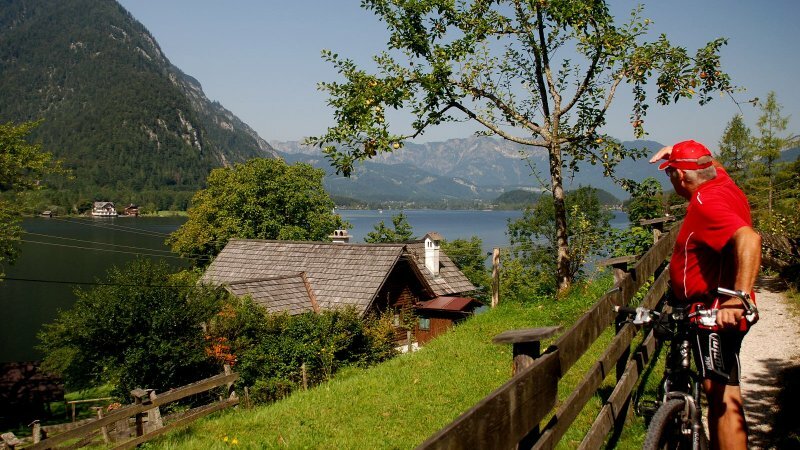 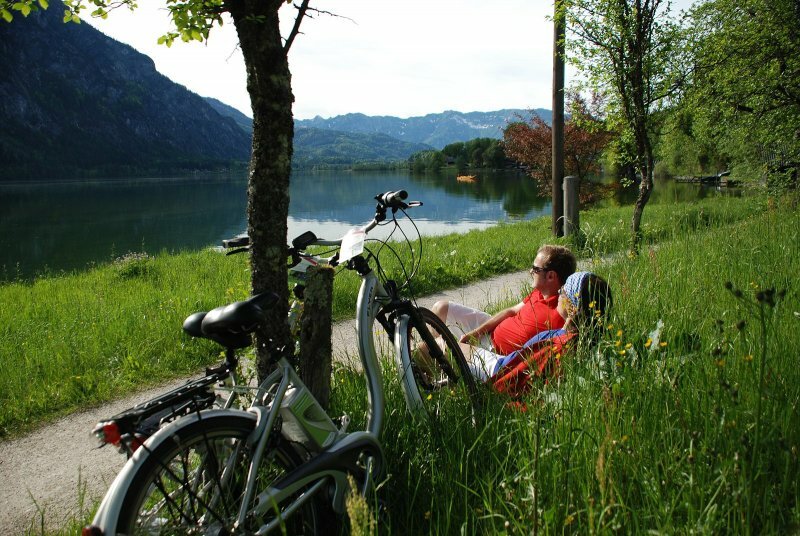 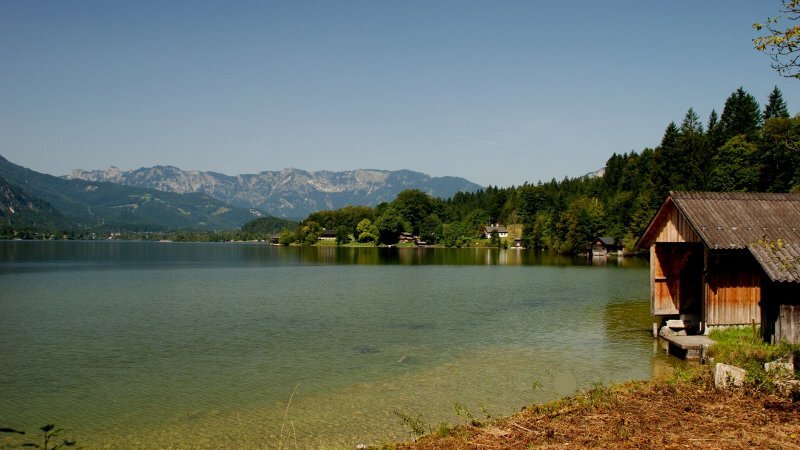 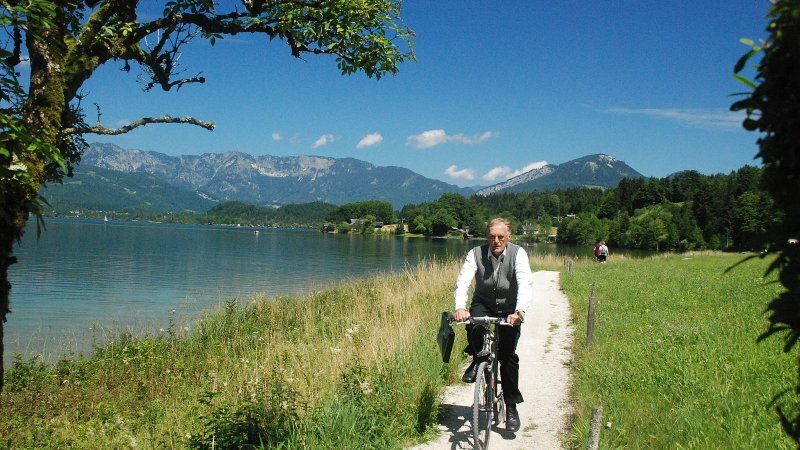 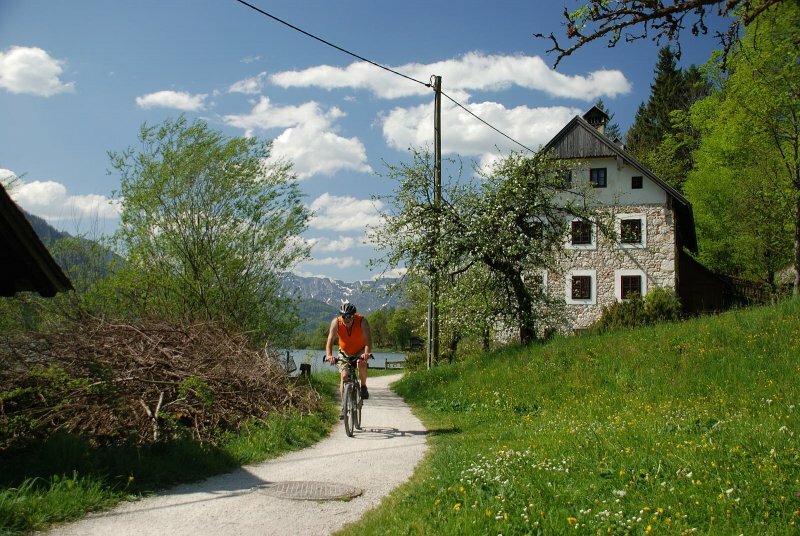 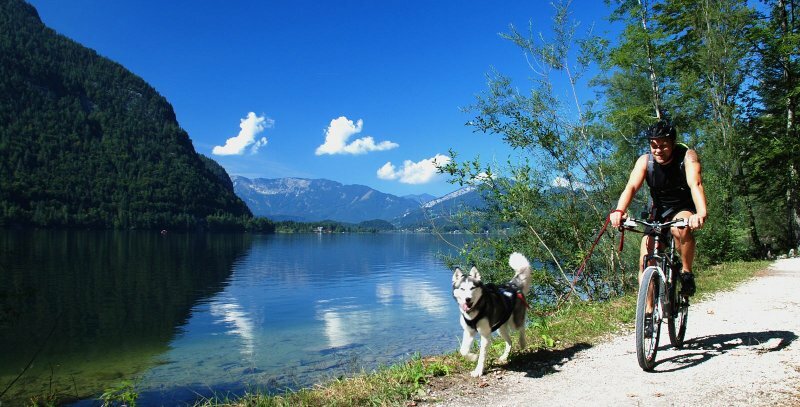 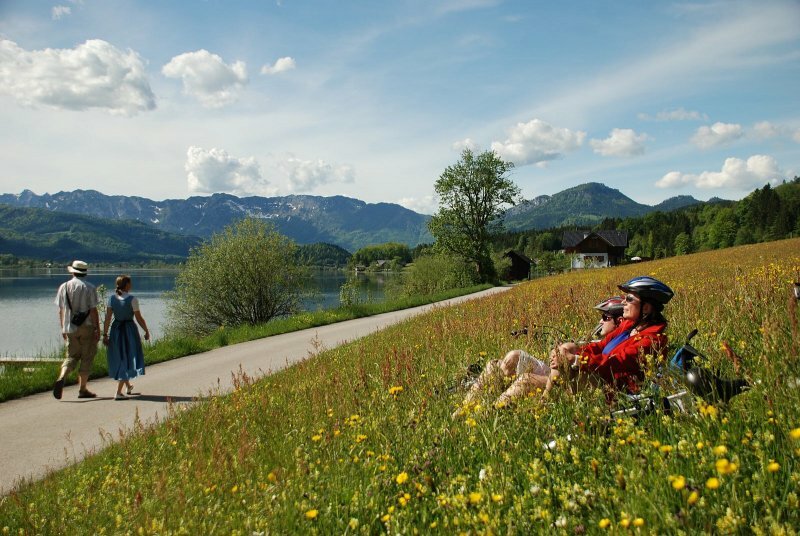 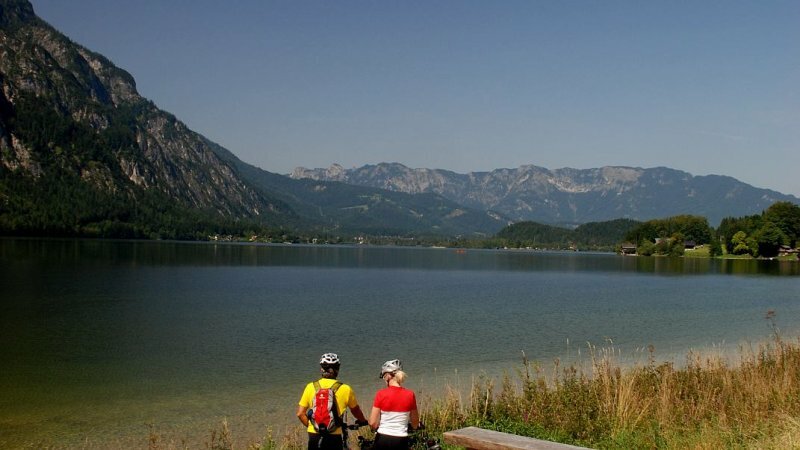 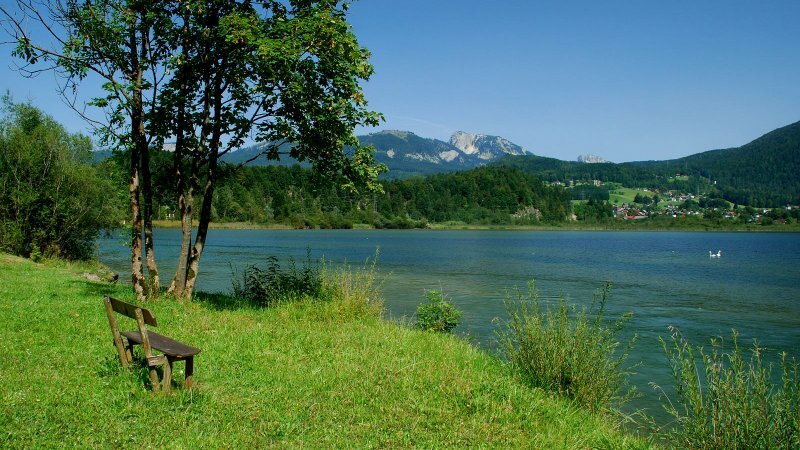 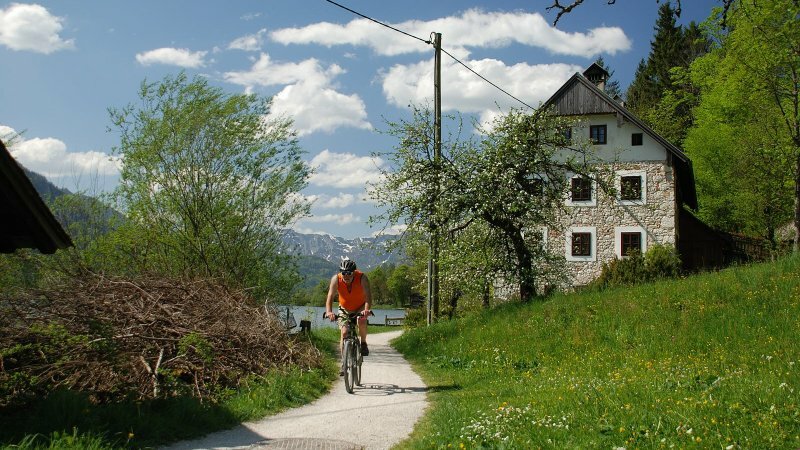 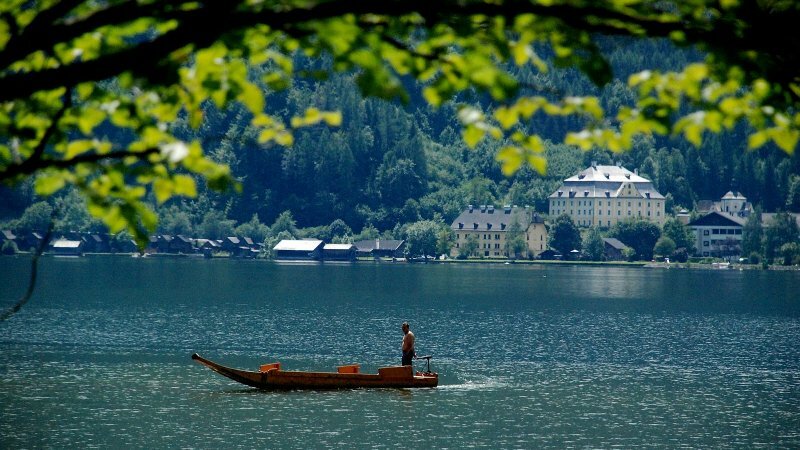 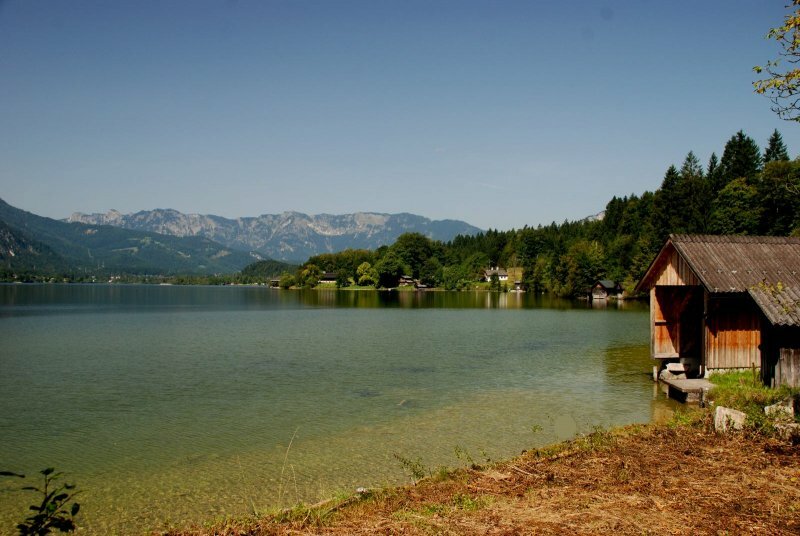 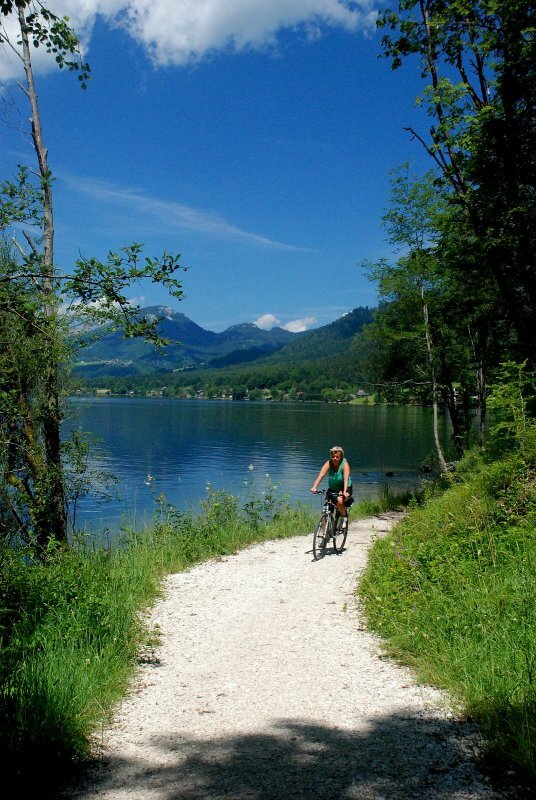 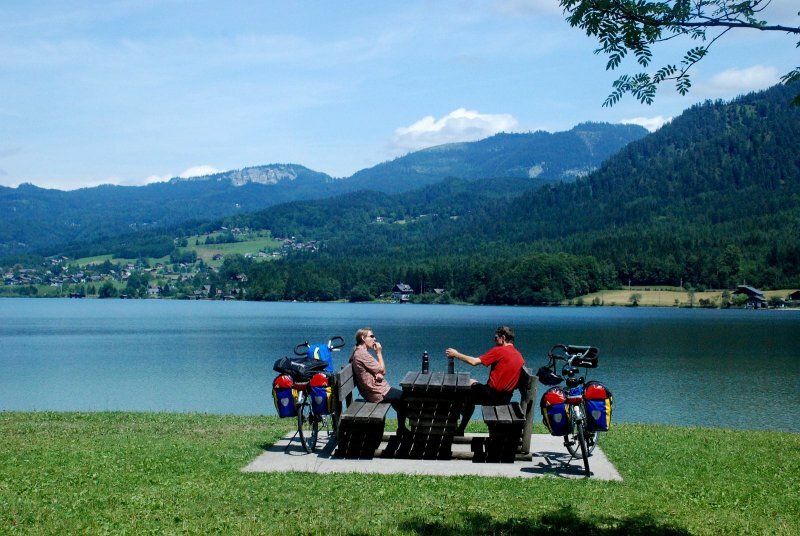 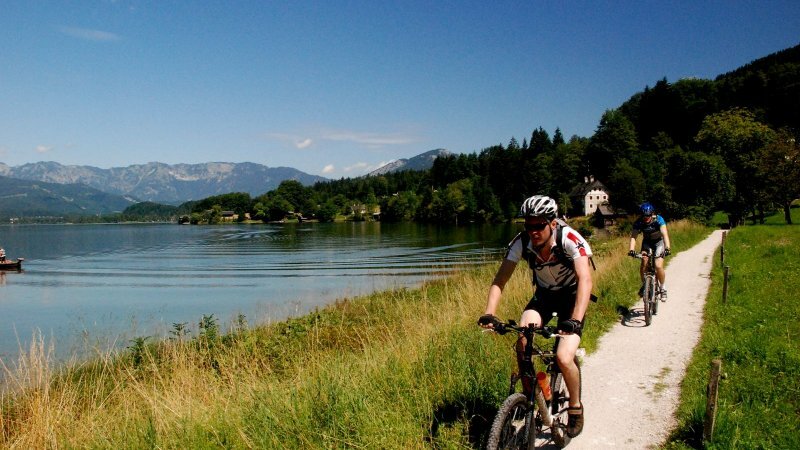 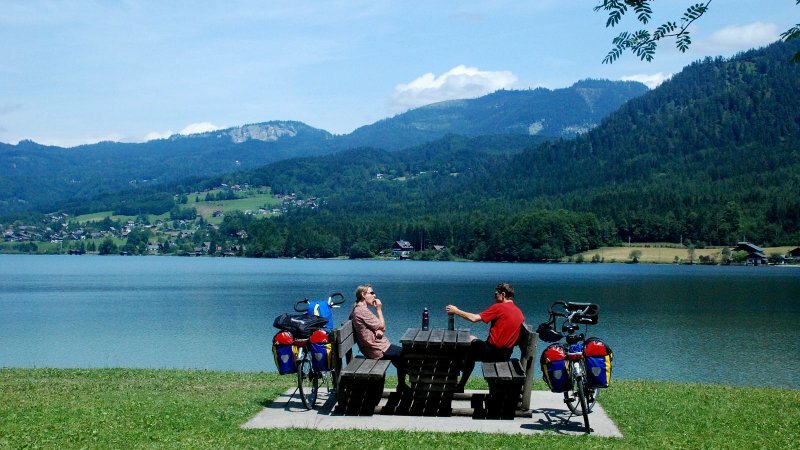 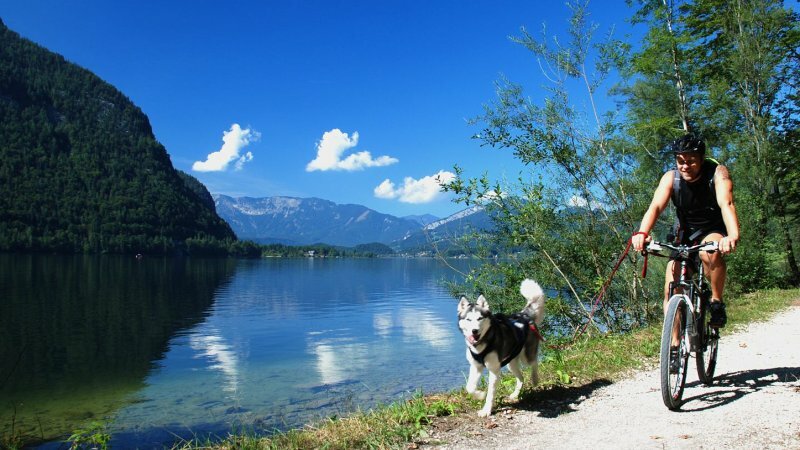 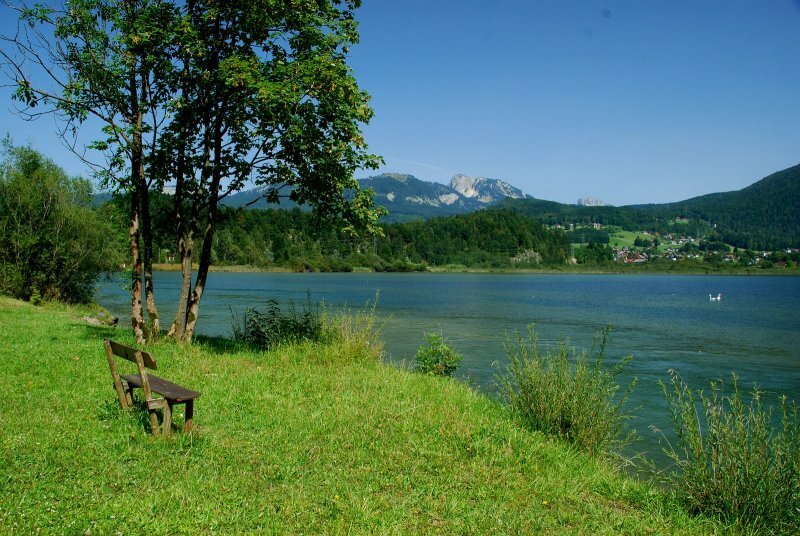 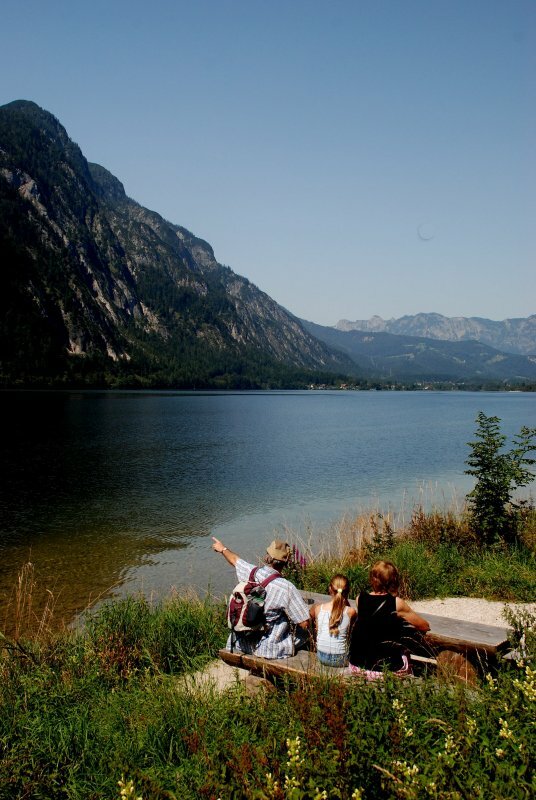 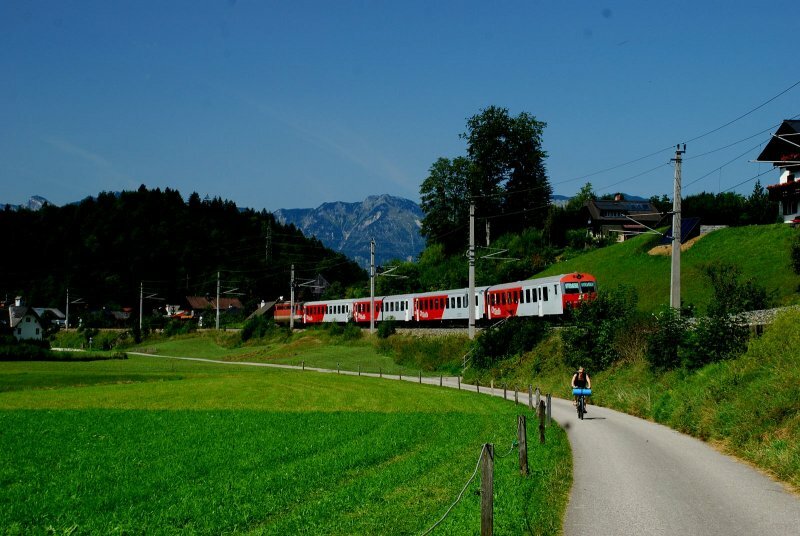 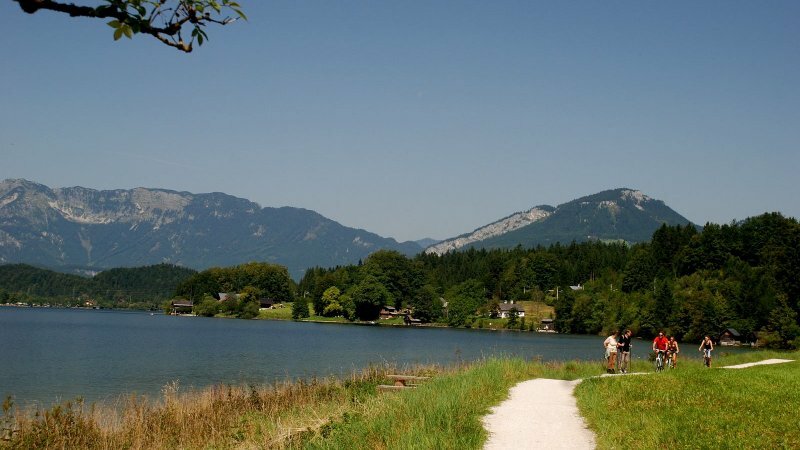 The Eastern Shore Cycle Path is just one section of the Salzkammergut Cycle Way which passes through this "Land with 76 Lakes", and covers a total of 184 km. 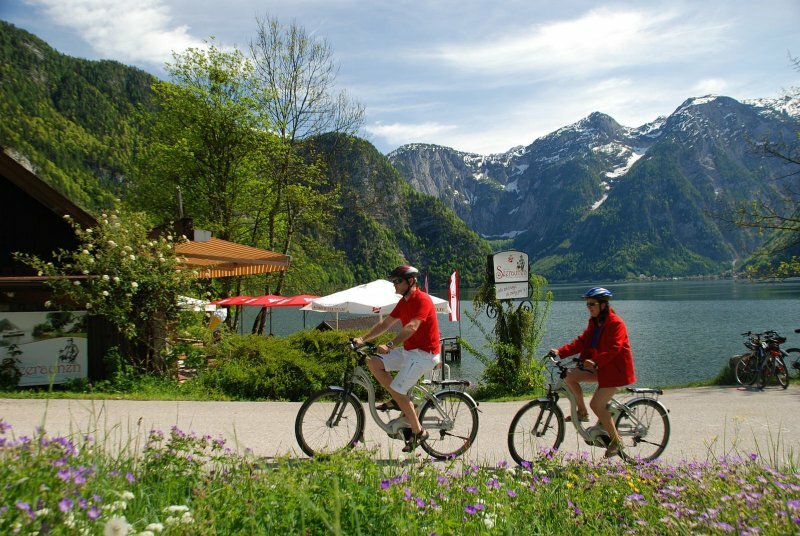 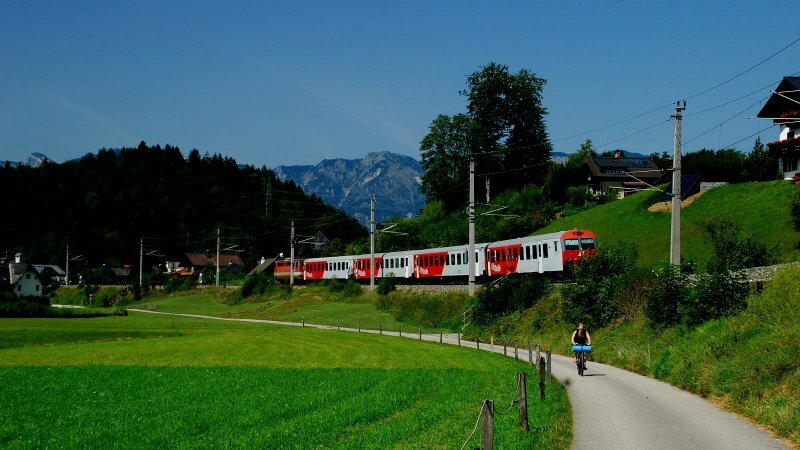 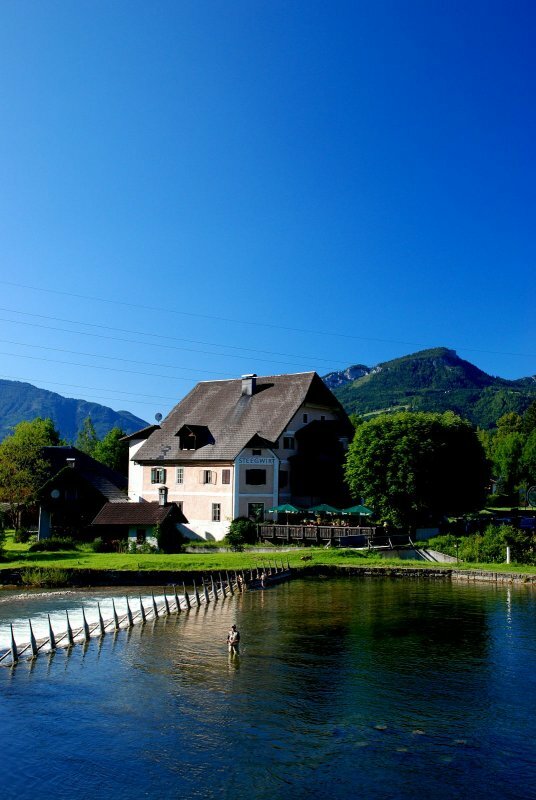 Coming from Bad Ischl or Bad Aussee, the Eastern Shore Cycle Trail is a delightful excursion. 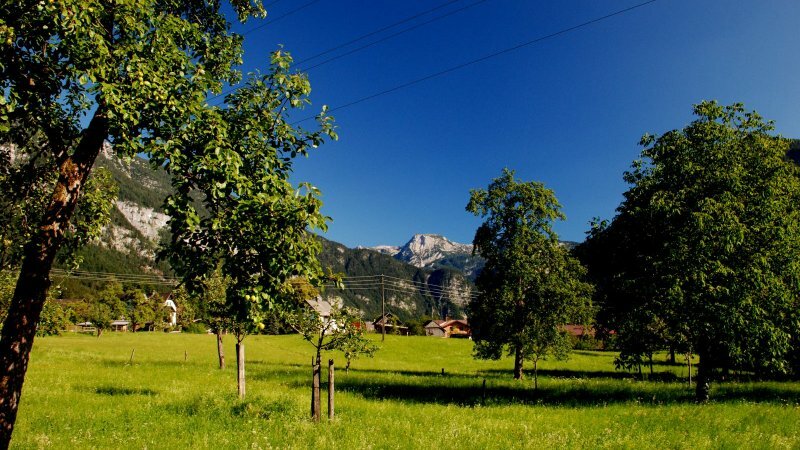 The section from Bad Goisern to Obertraun is gentle and unproblematic. 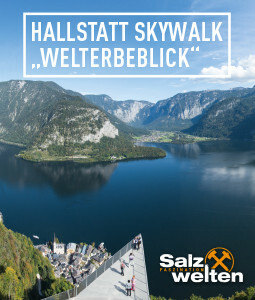 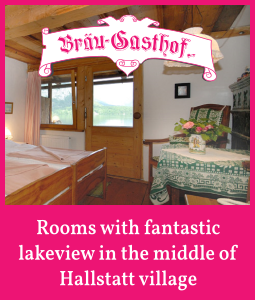 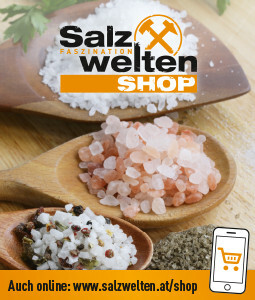 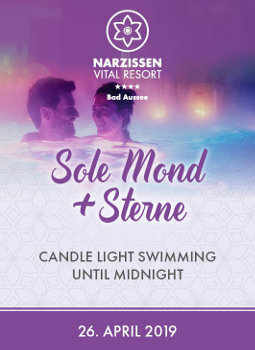 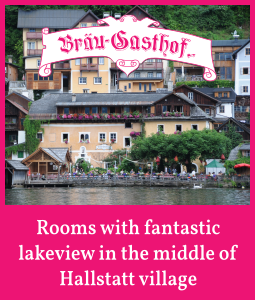 You should plan your time carefully and allow some time to stop off in Hallstatt and visit the Salt Mines Exhibition, the catholic church, the World Heritage Museum or the archeological excavations. 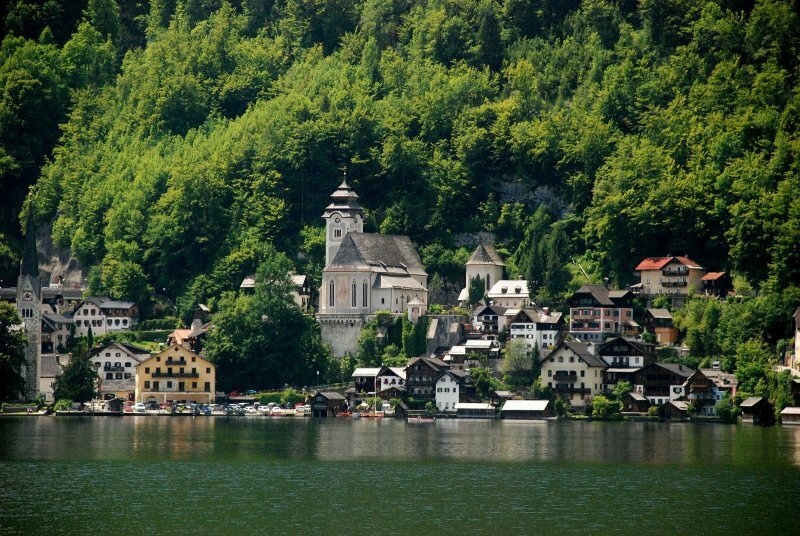 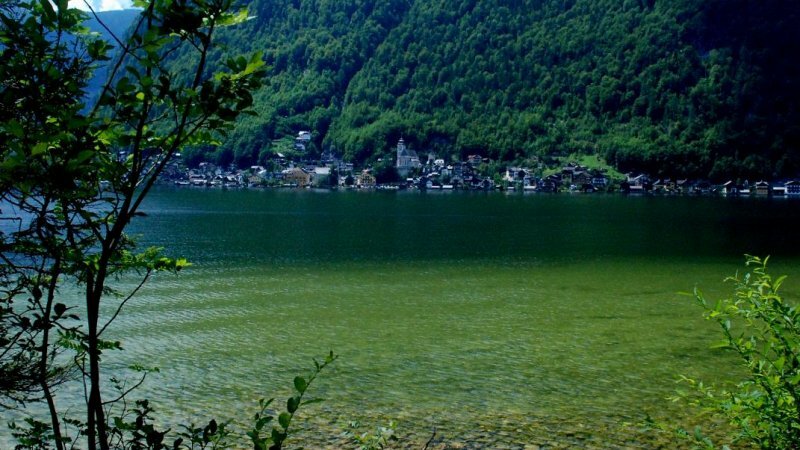 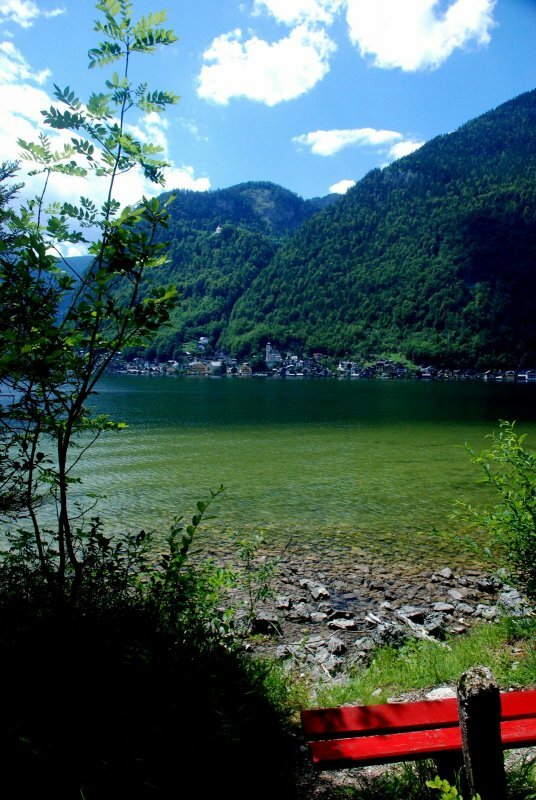 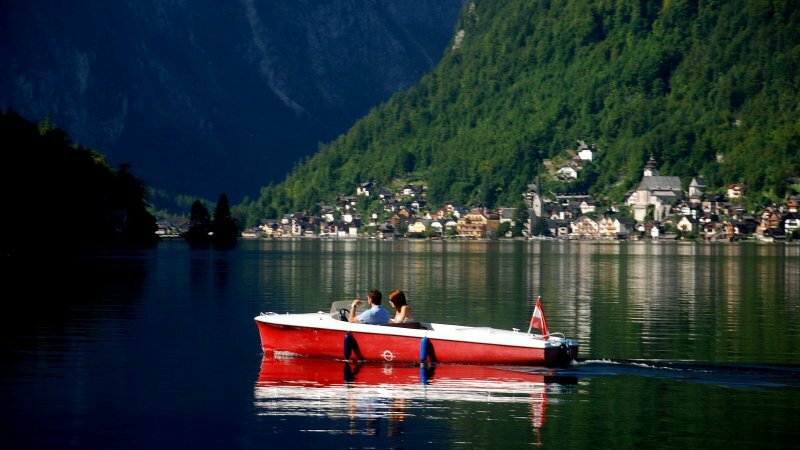 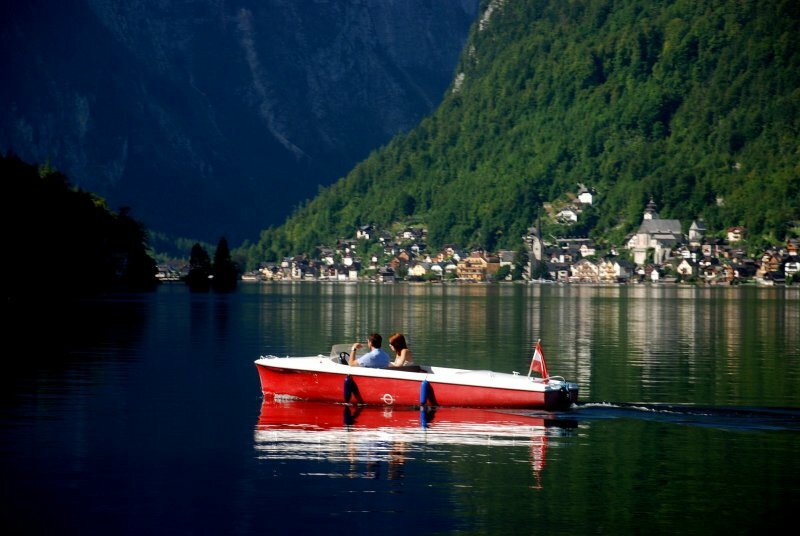 From Hallstatt Railway Station you can cross the lake to Hallstatt Lahn by lake ferry. 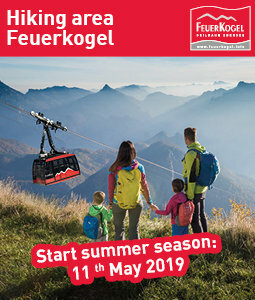 A spectacular visitor attraction near Obertraun is the "5 fingers" viewing platform - make the rapid ascent up the Krippenstein by "Dachsteinwelterbeseilbahn" - a cable car from which you will enjoy stunning panoramic views. 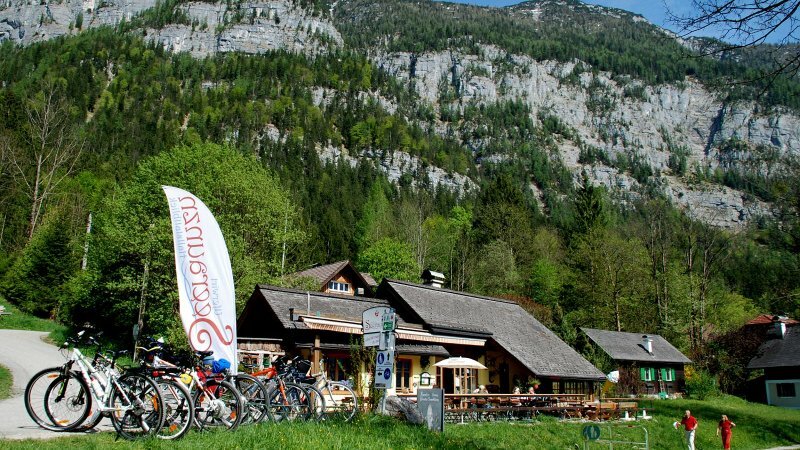 From Obertraun you can also visit the famous Dachstein Caves - the Giant Ice, Mammoth and Koppenbrüller Caves, which are well-worth a visit.